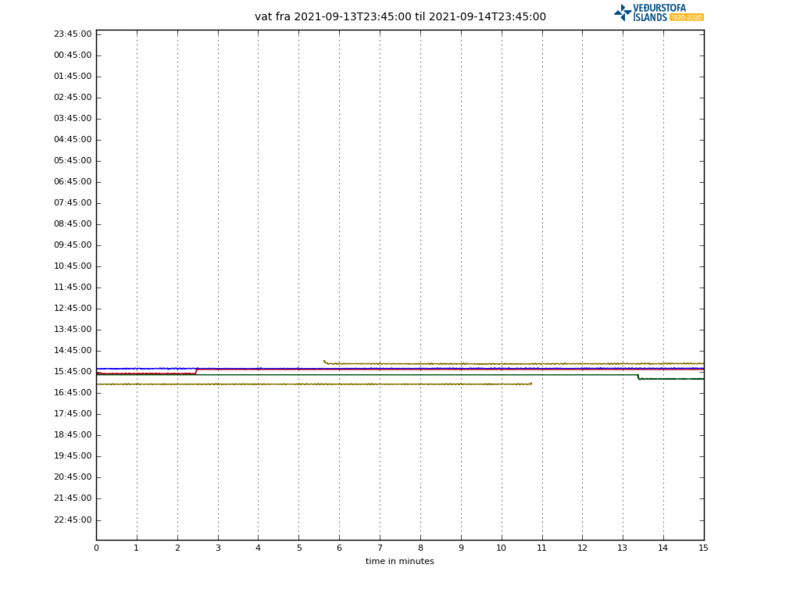 Icelandic Met Office runs the following drumplots. 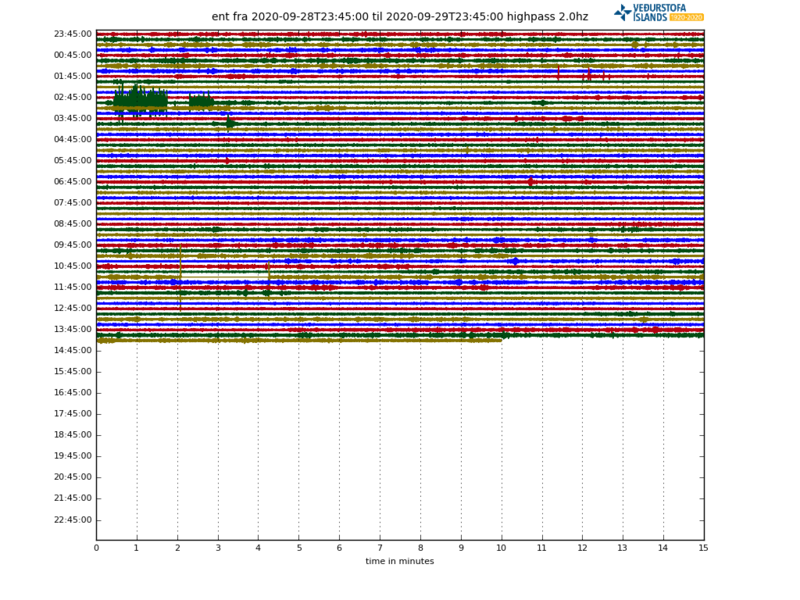 To simply the viewing of them I have collected them into this single website. 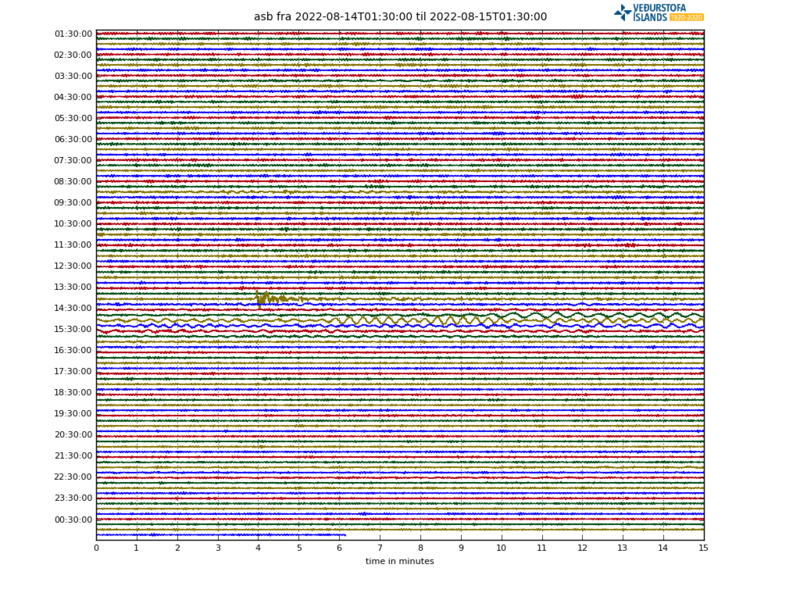 If the name of SIL station in question is known, it is above the drumplot image. 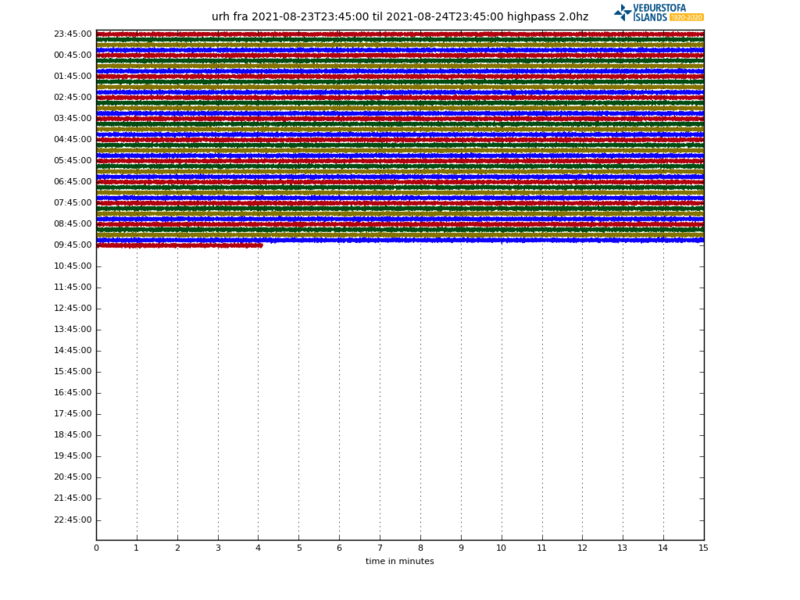 It is recommend that this website is only refreshed only once every 15 to 30 minutes to prevent high load on Icelandic Met Office servers. 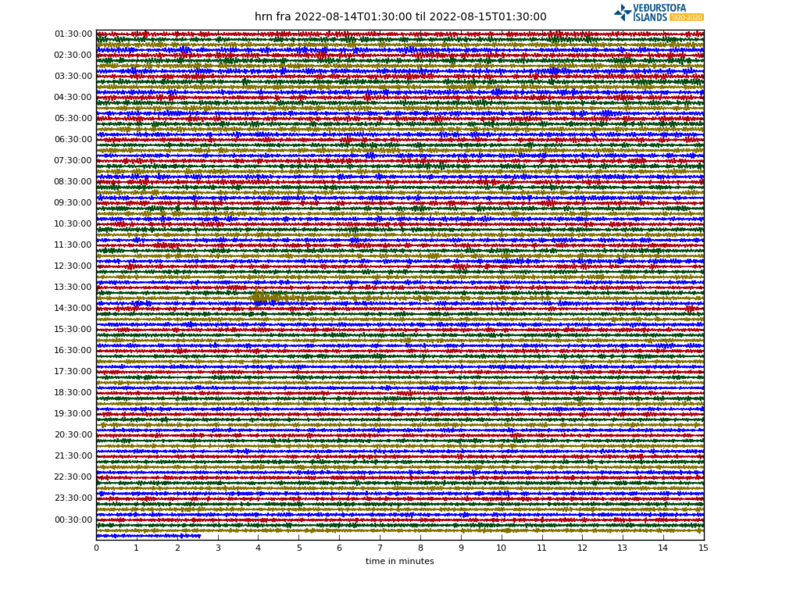 It is good to keep this list in mind when viewing this drumplots. 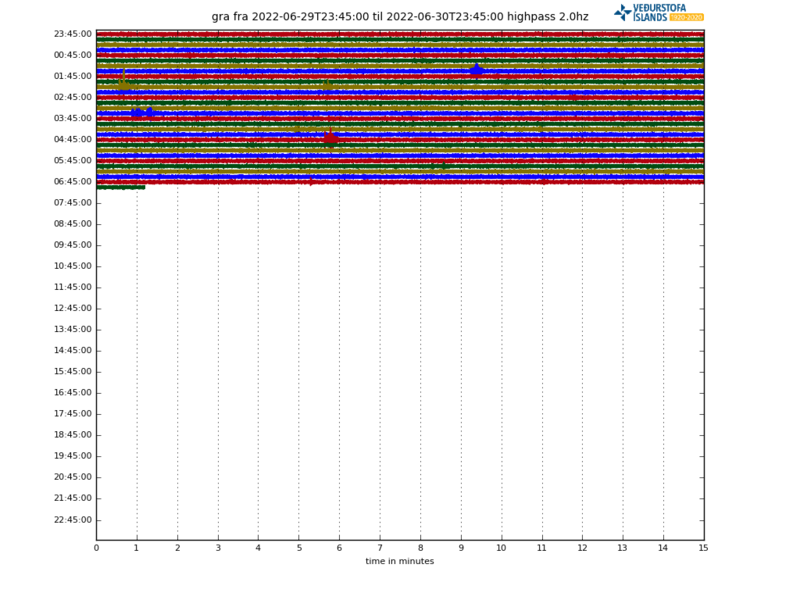 This website does not update automatically. SIL station can stop working without warning. 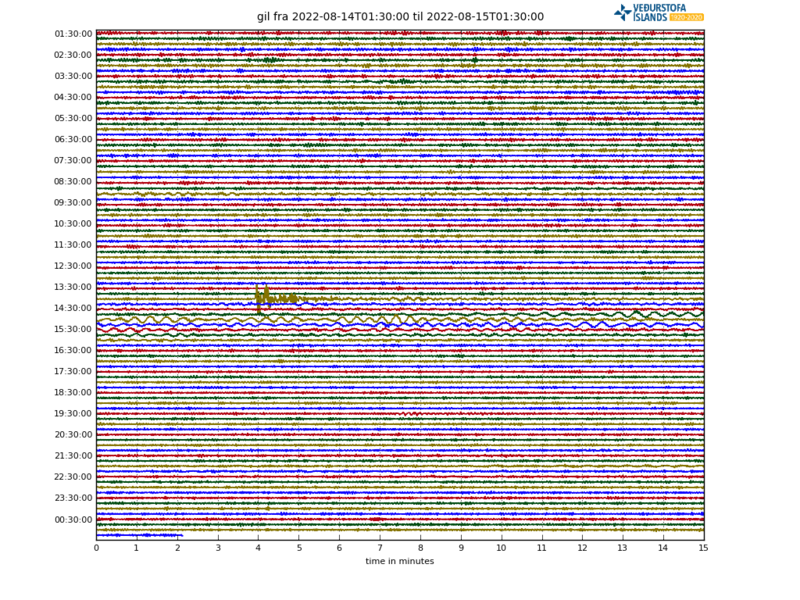 SIL station might be removed without warning. If a SIL station is not updated for a long time I might remove it from this list. 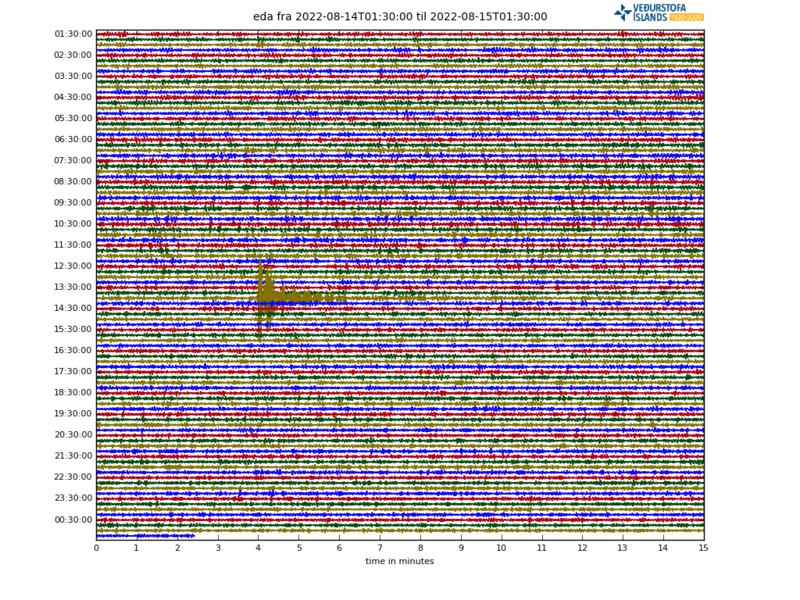 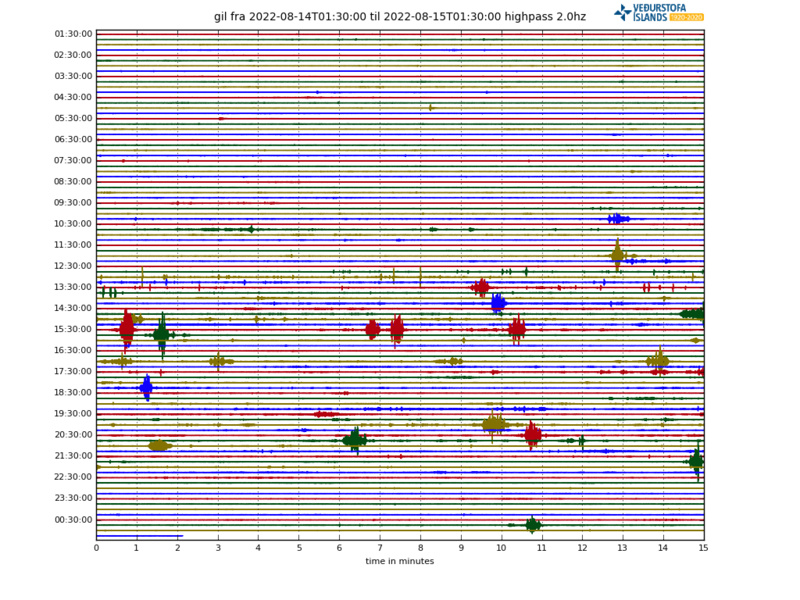 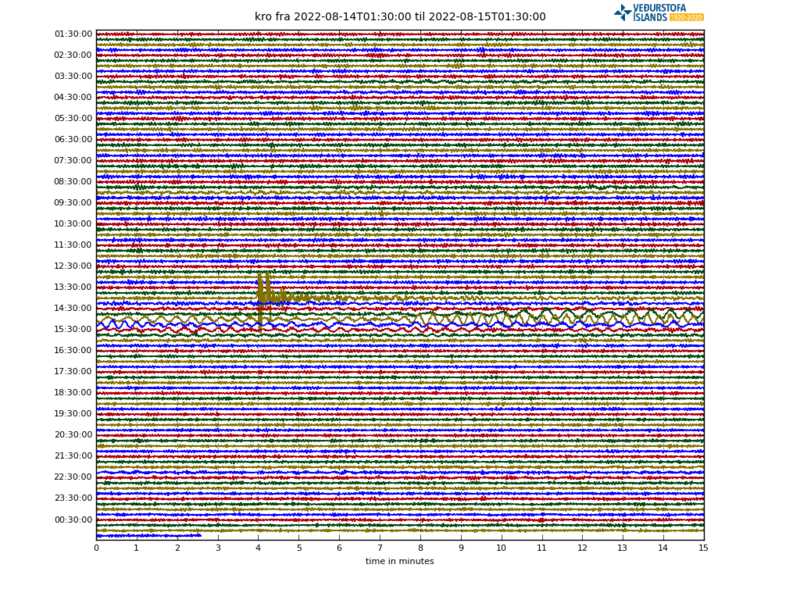 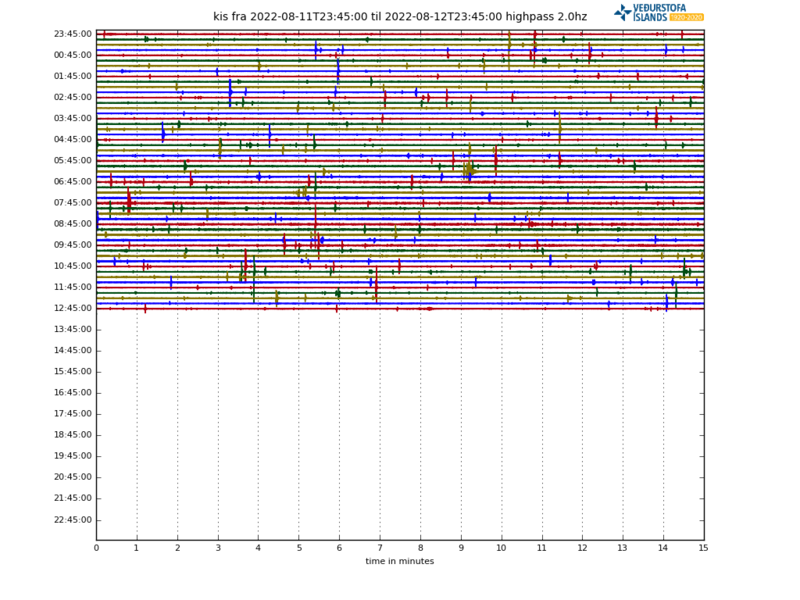 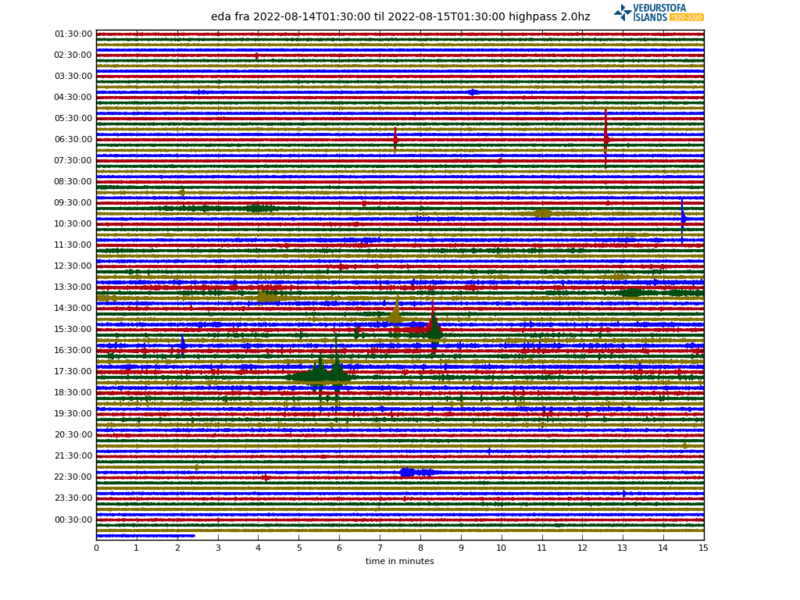 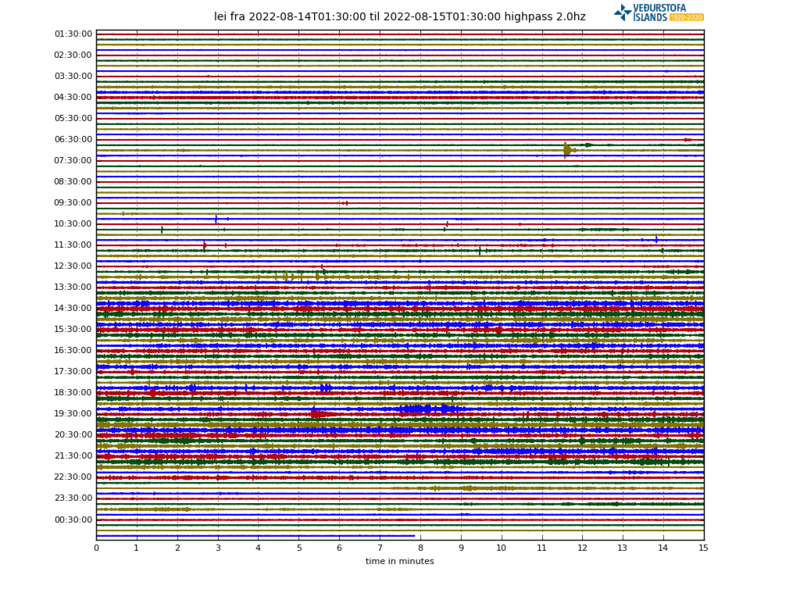 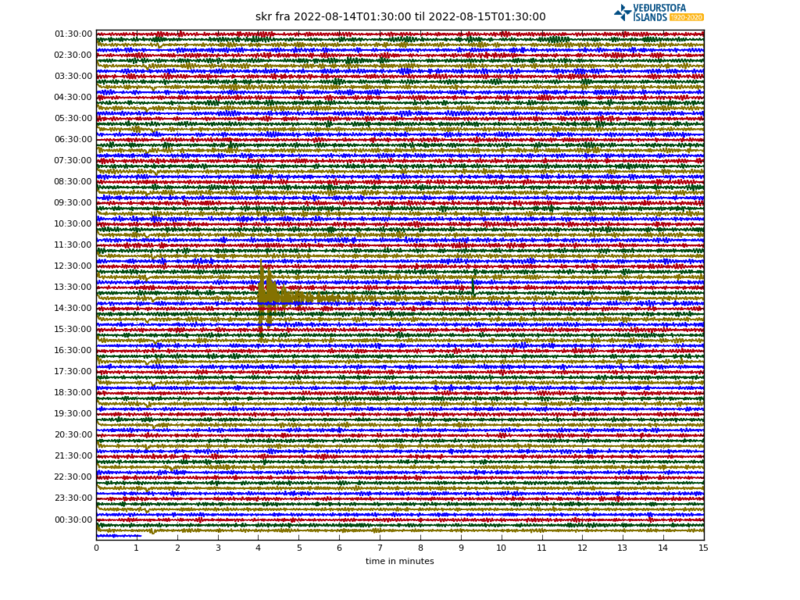 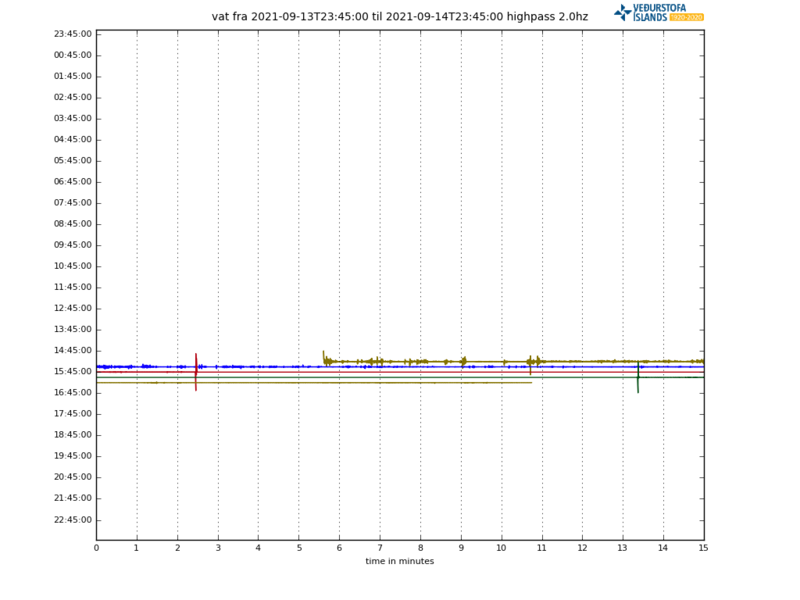 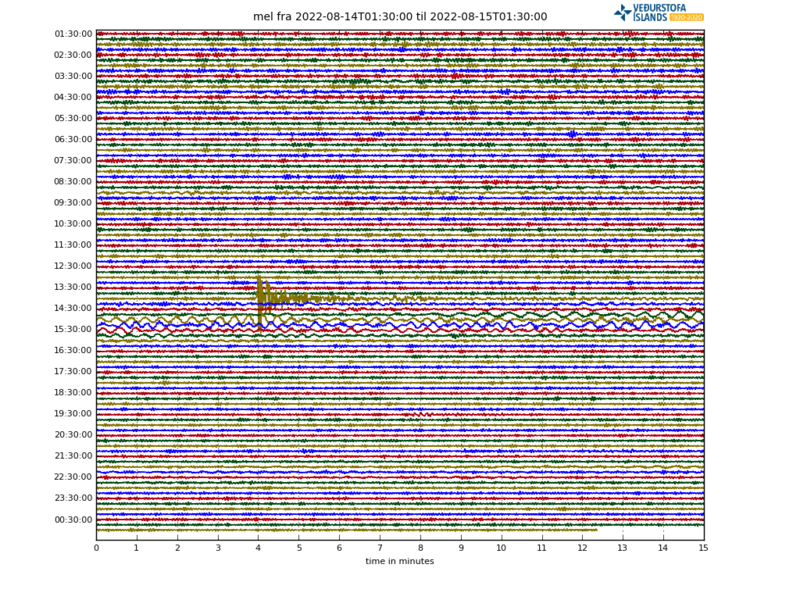 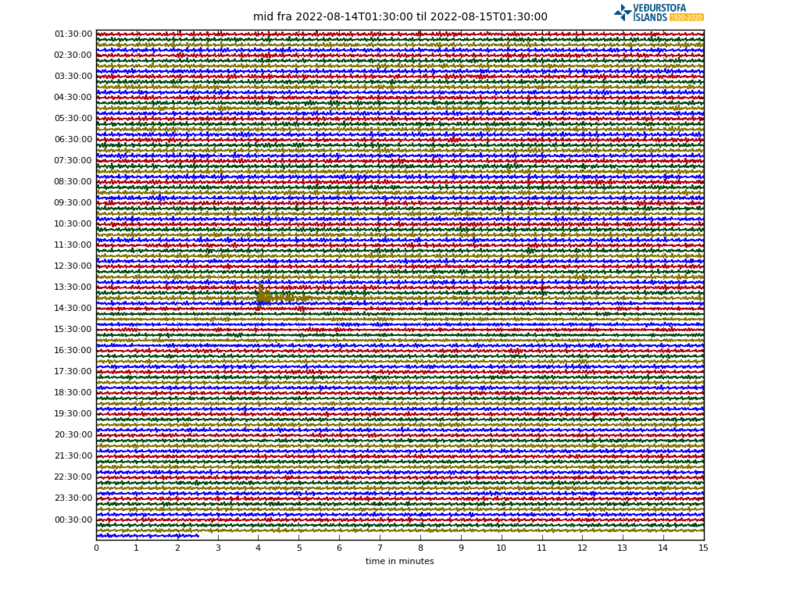 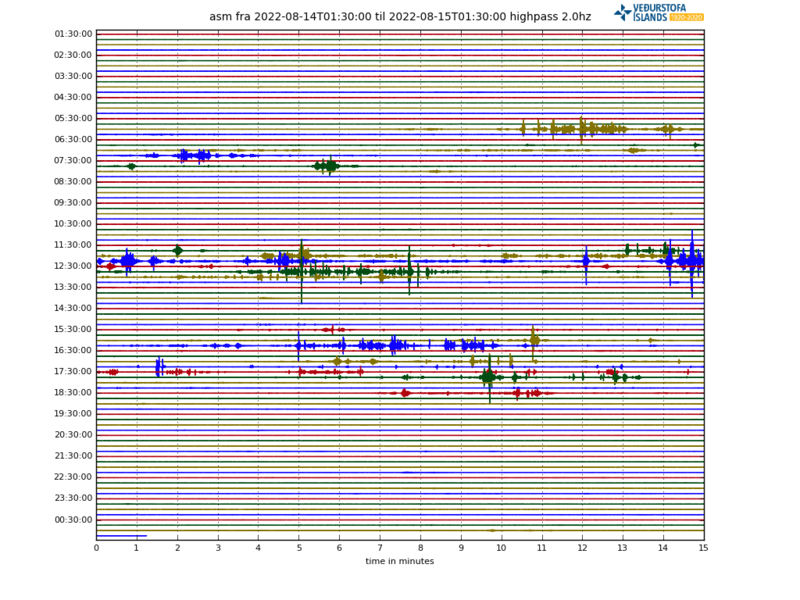 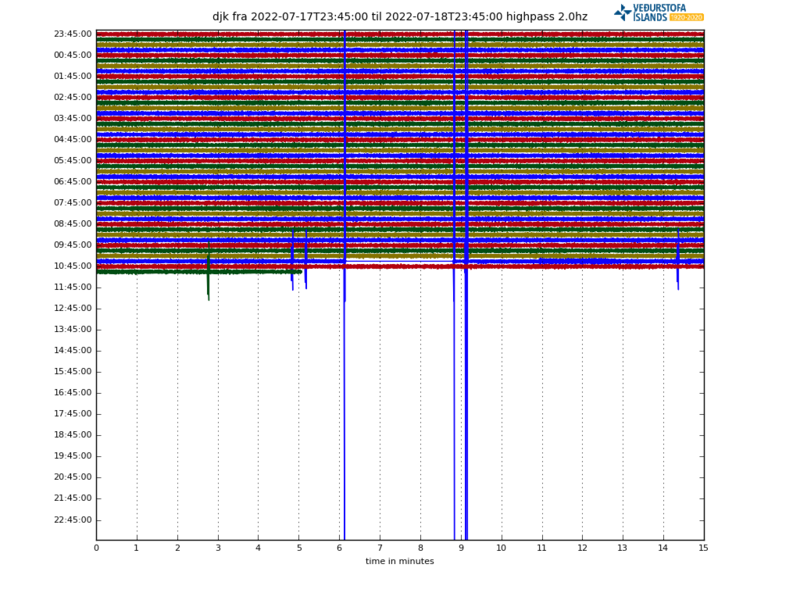 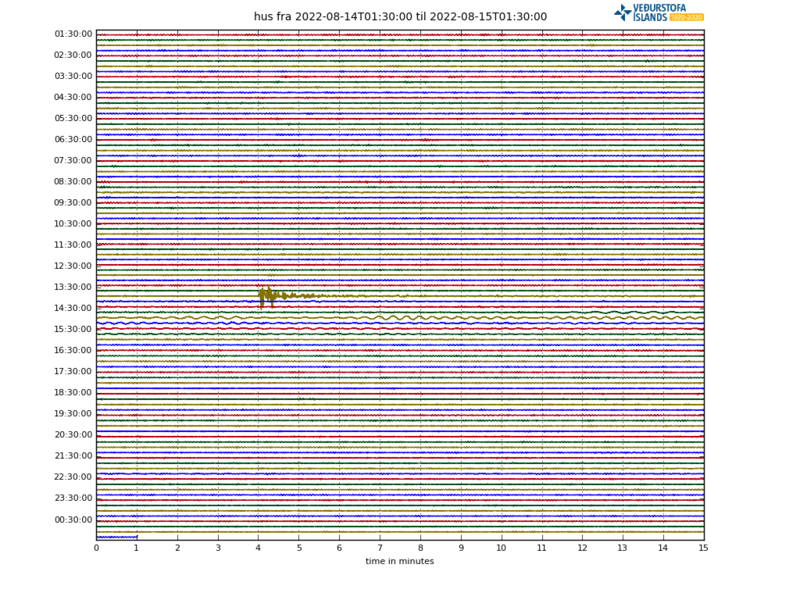 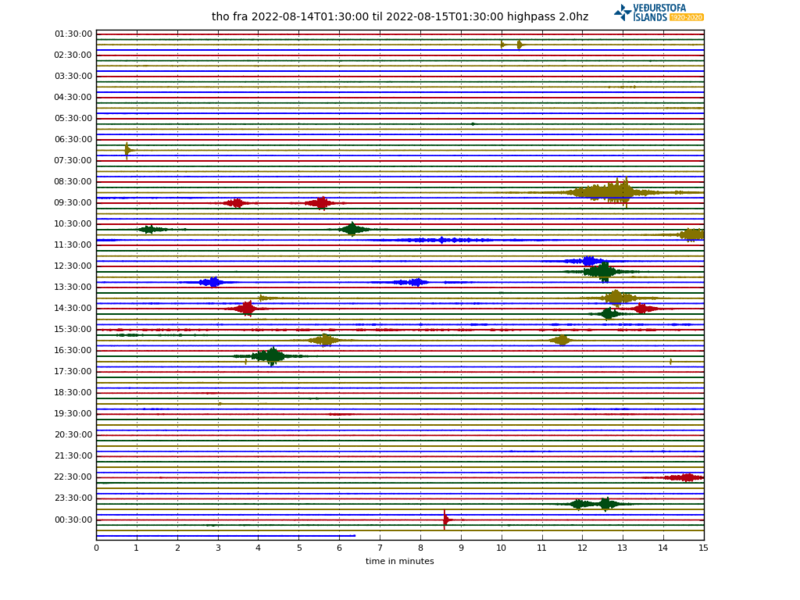 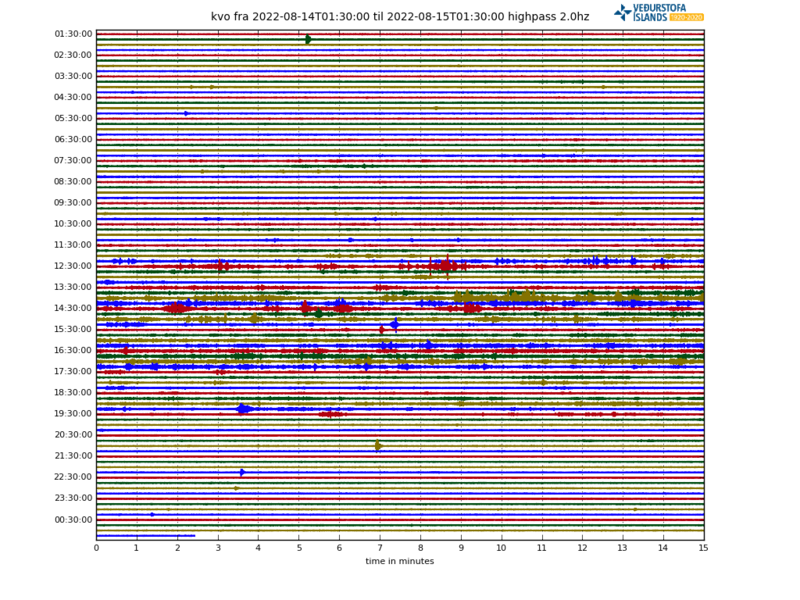 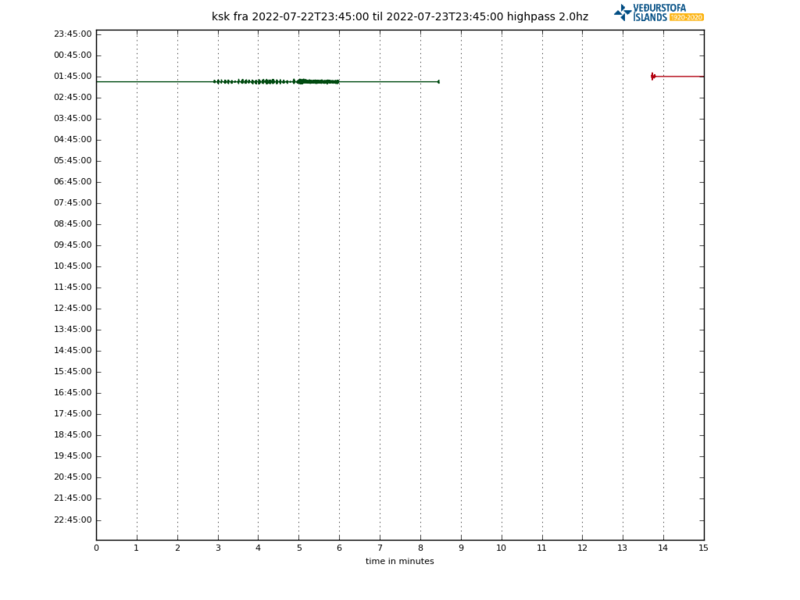 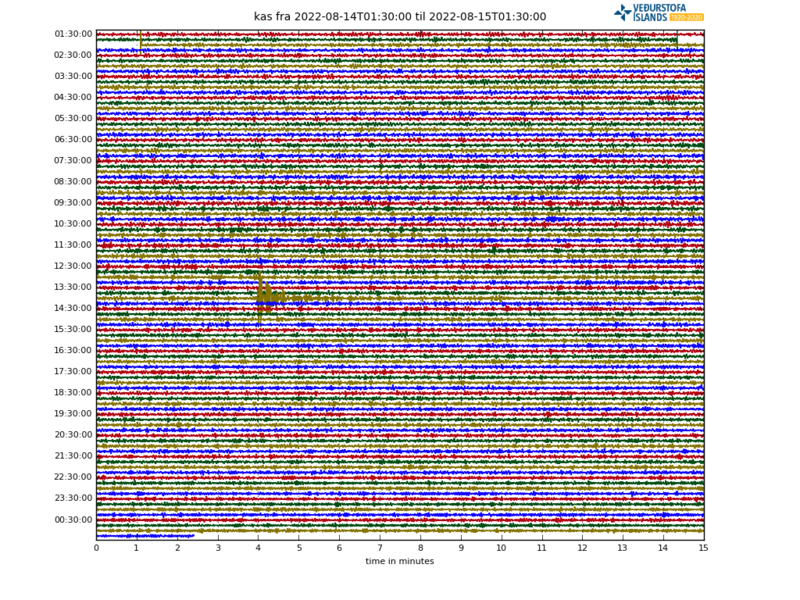 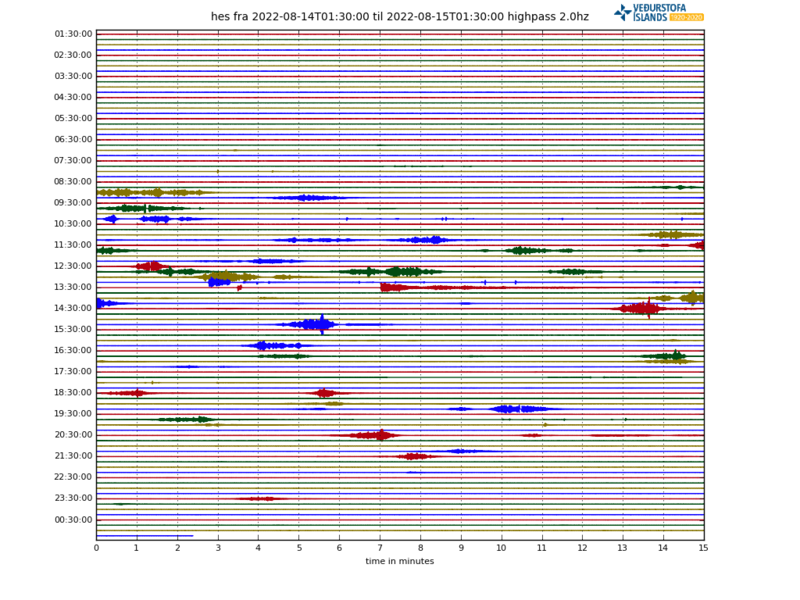 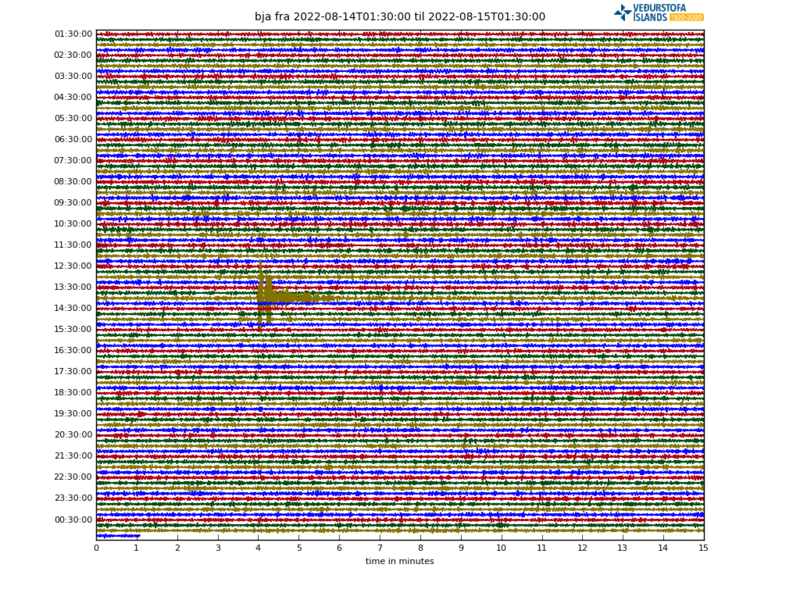 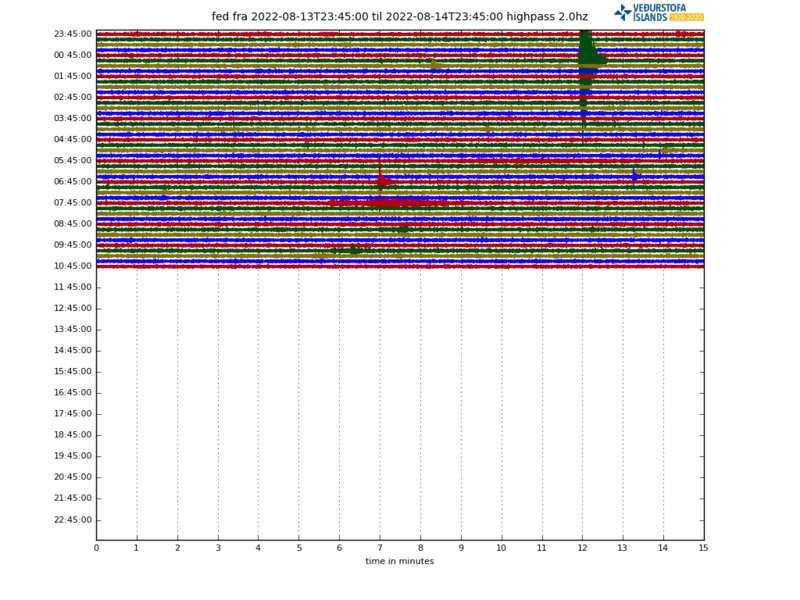 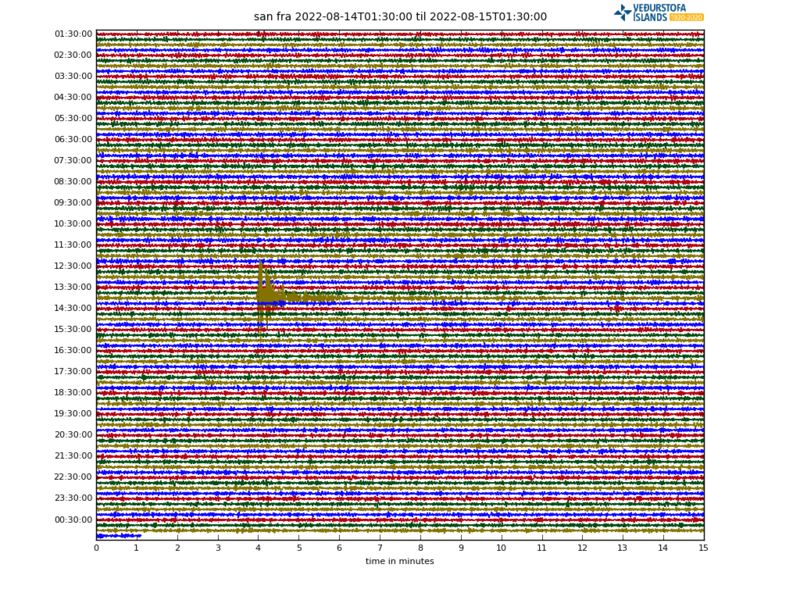 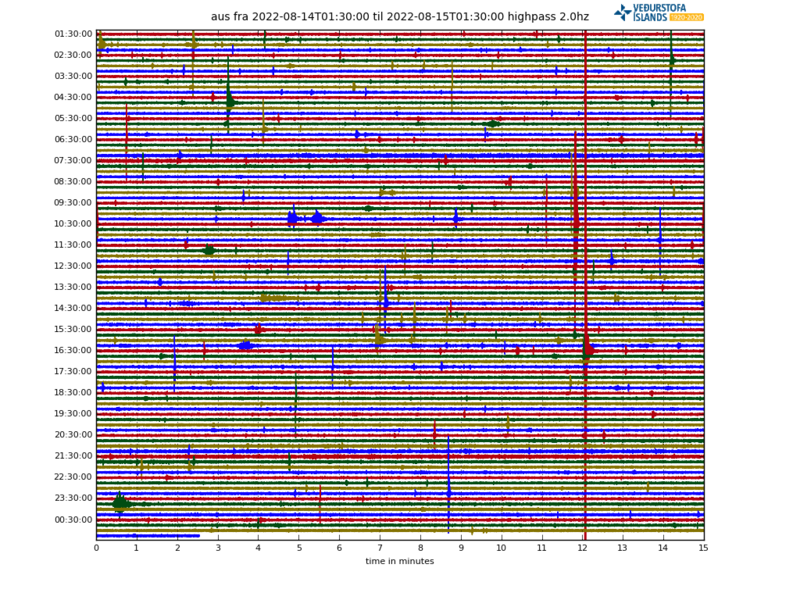 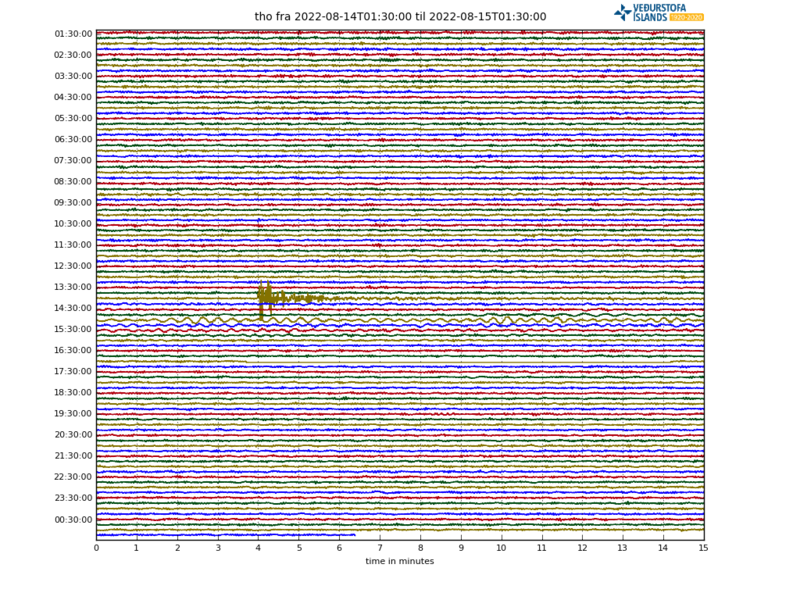 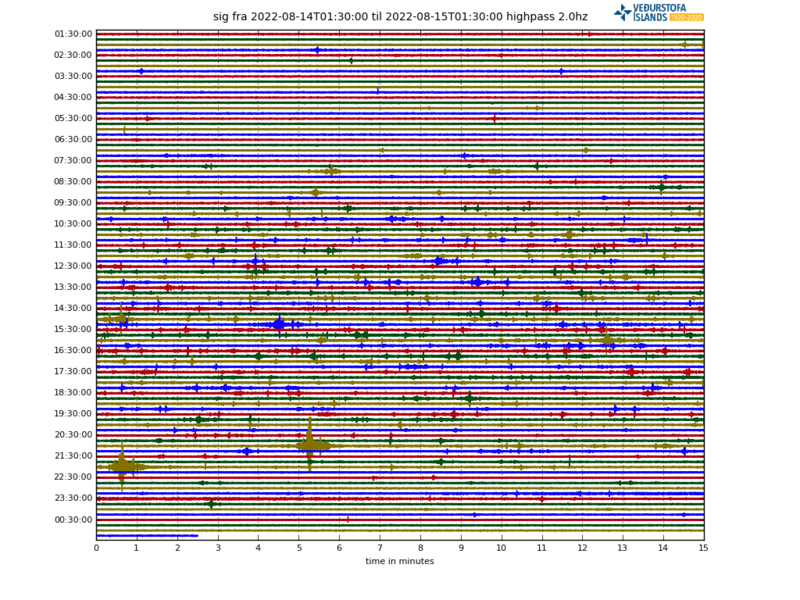 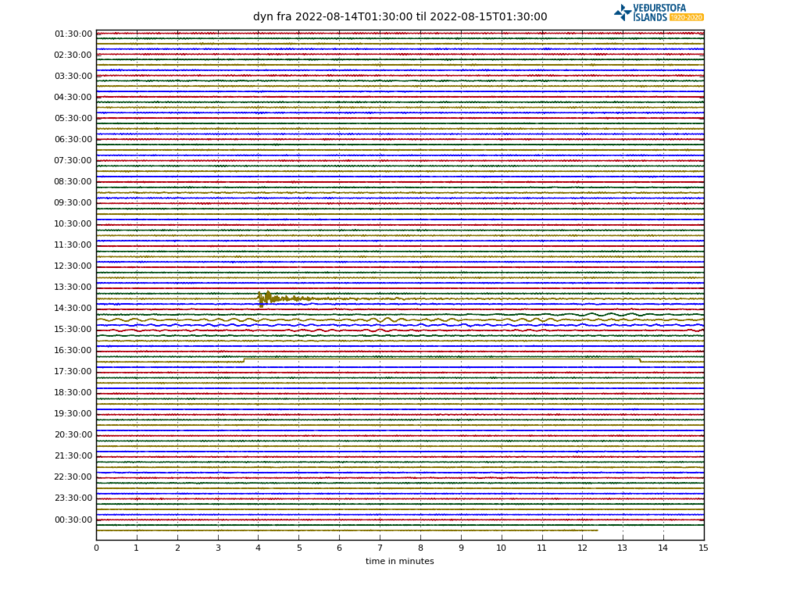 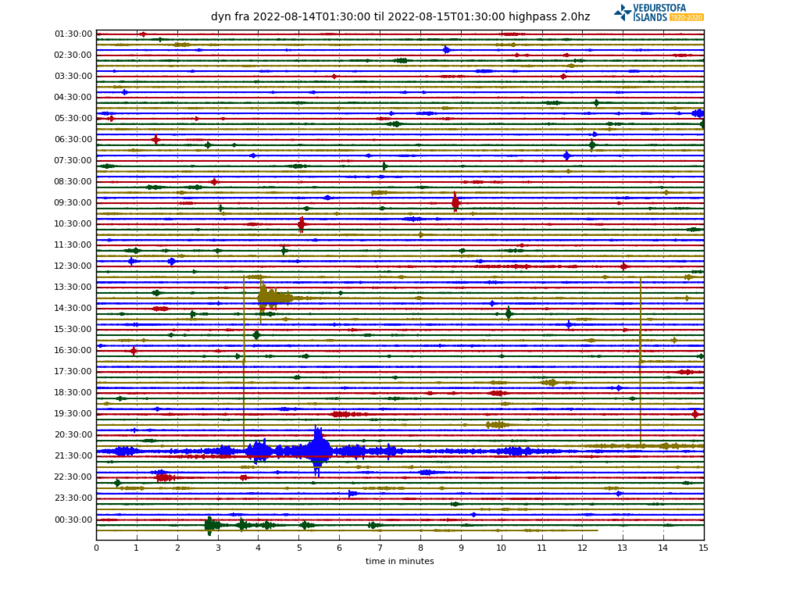 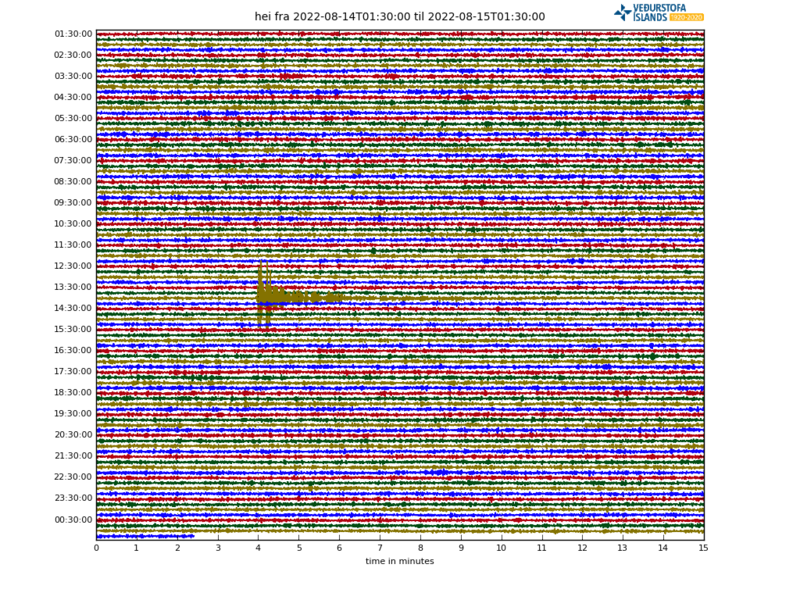 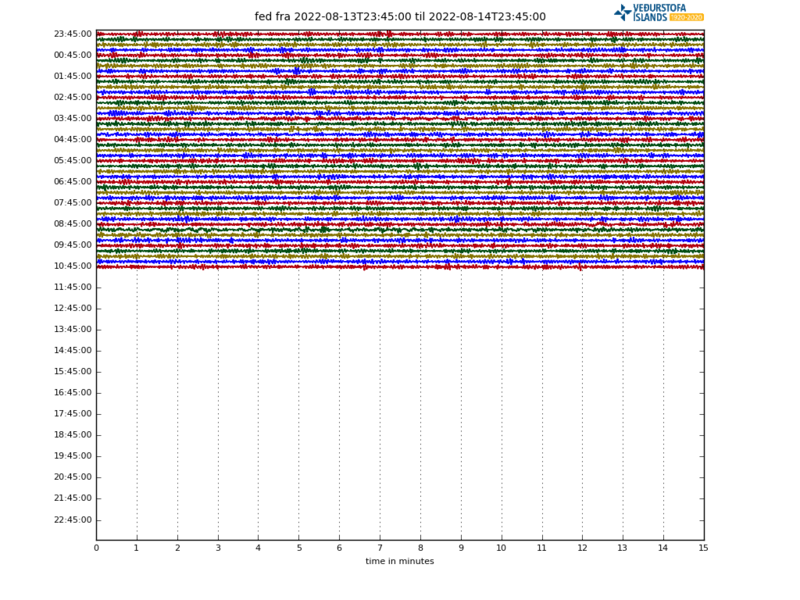 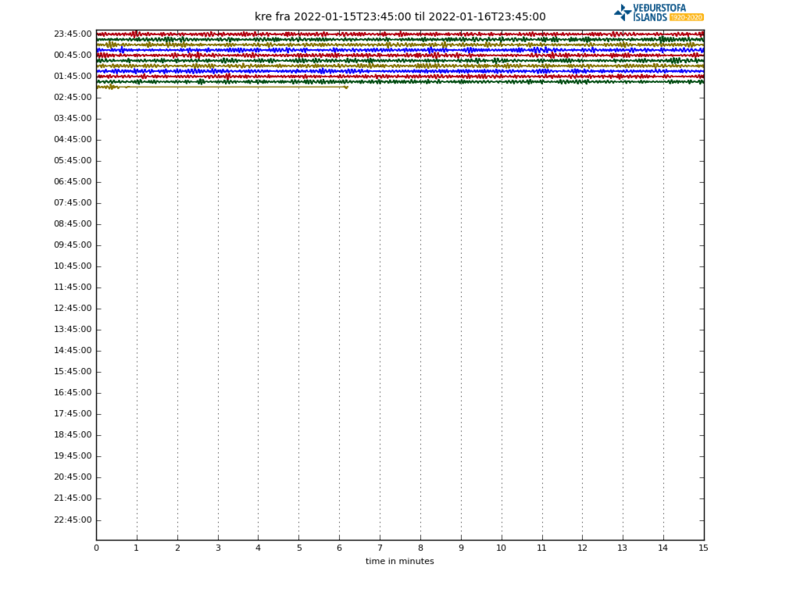 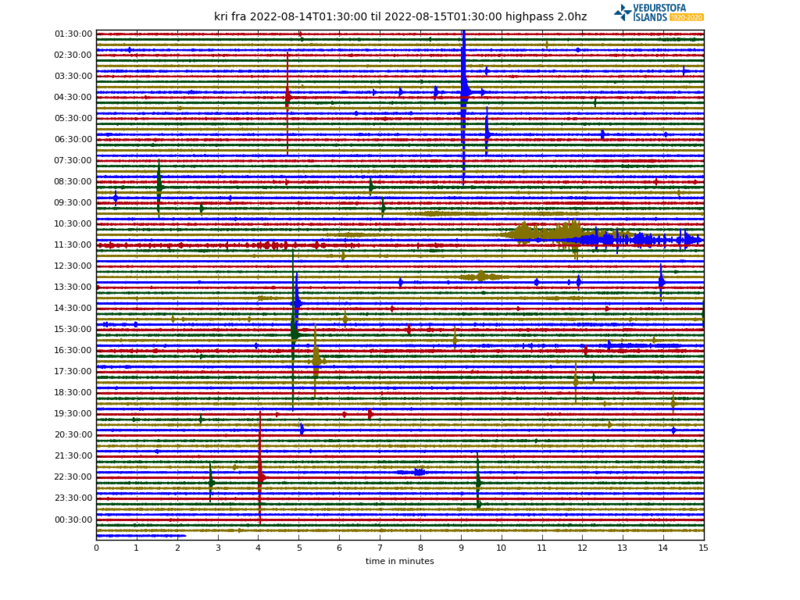 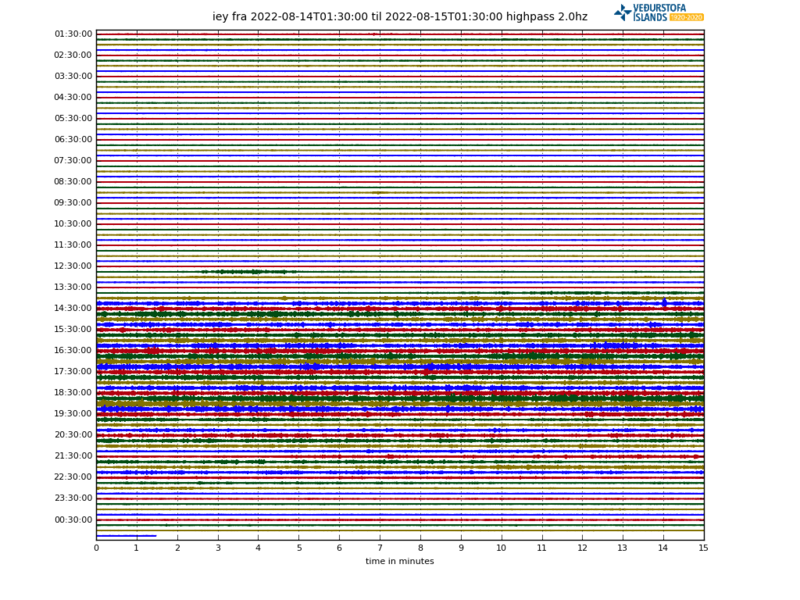 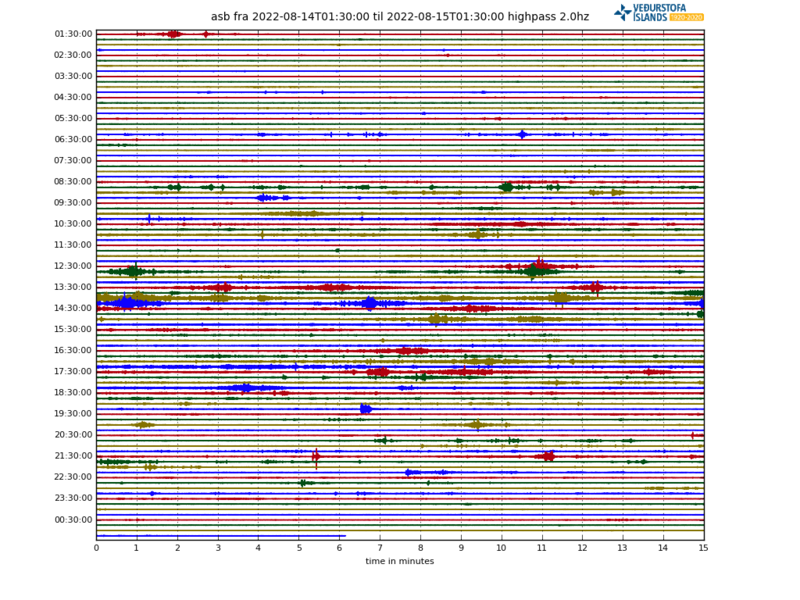 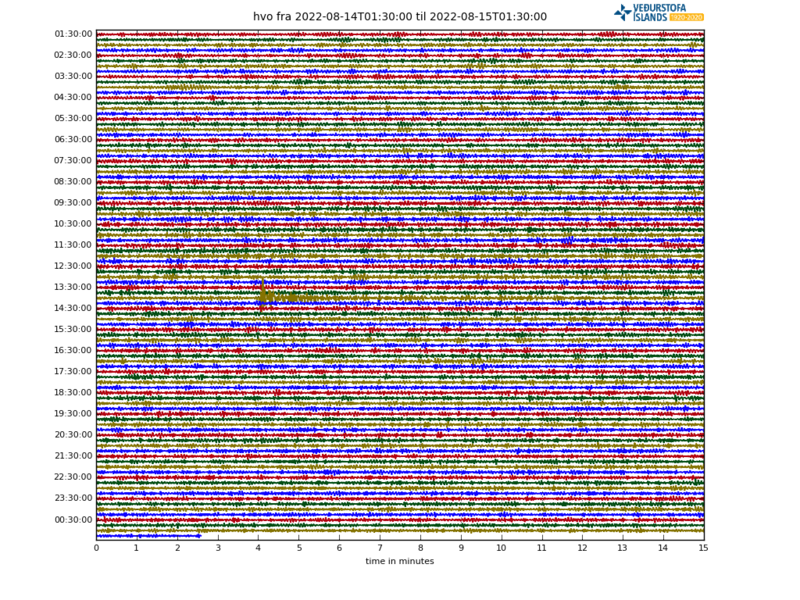 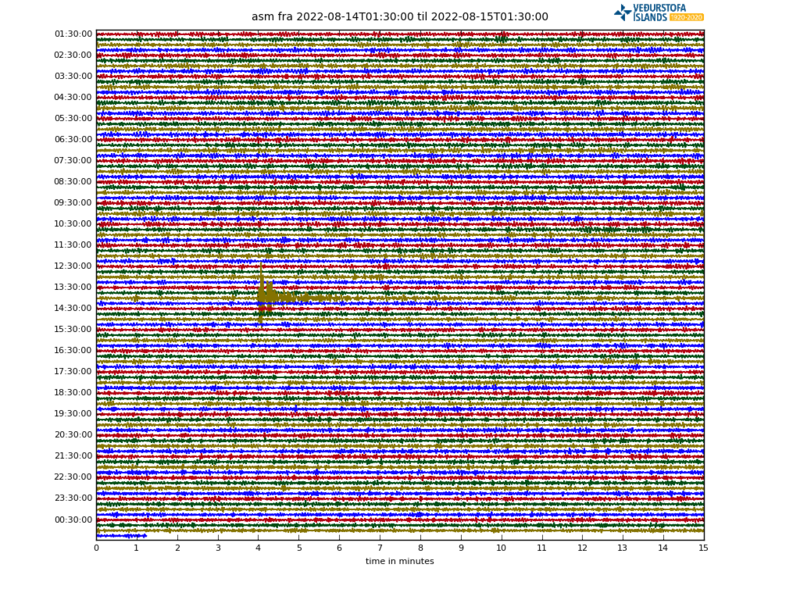 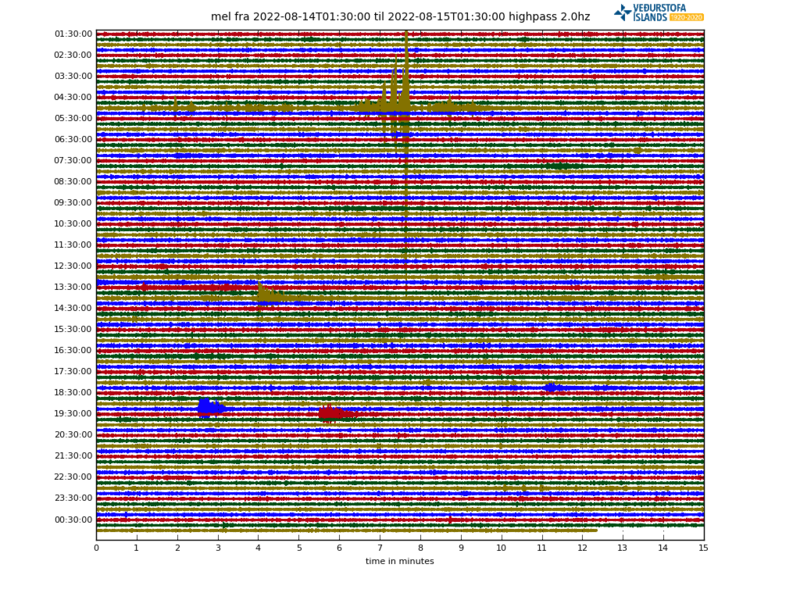 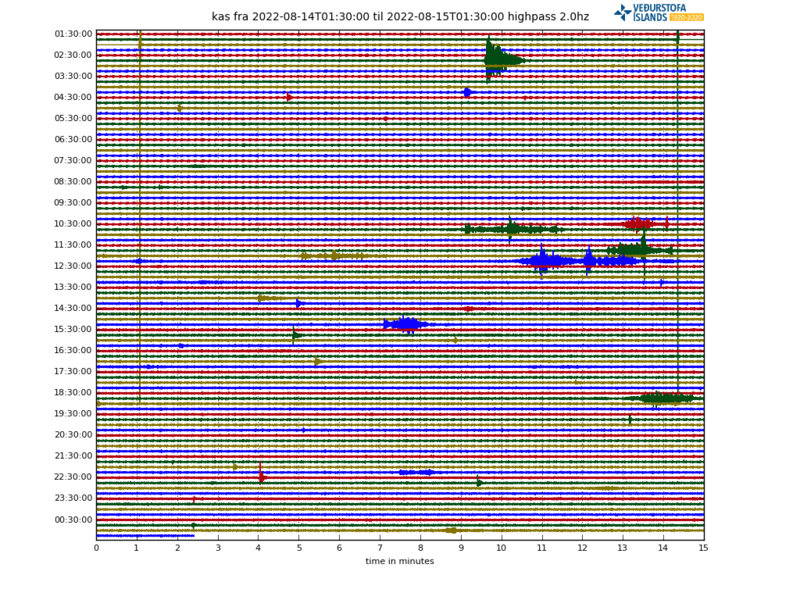 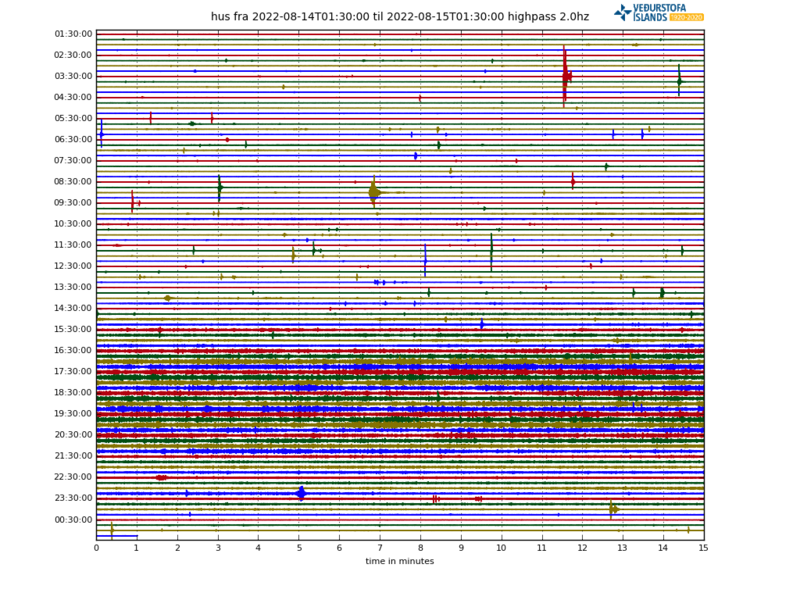 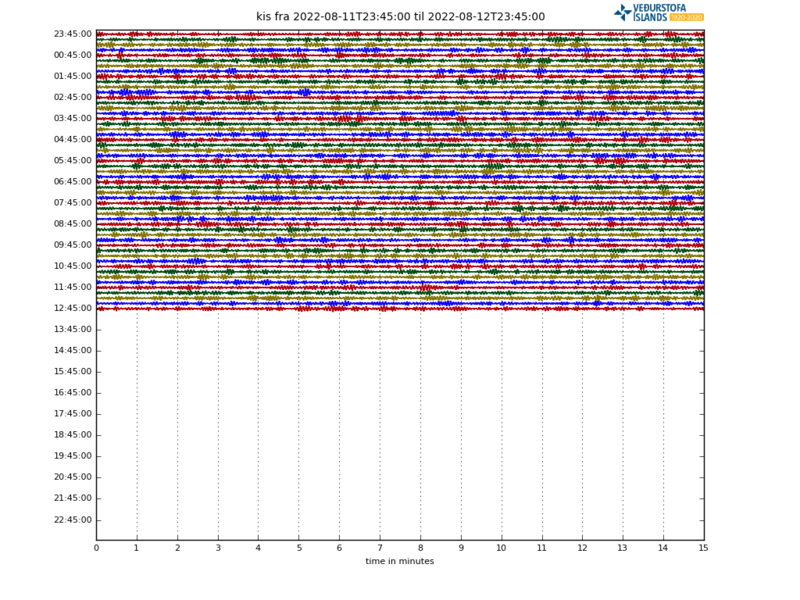 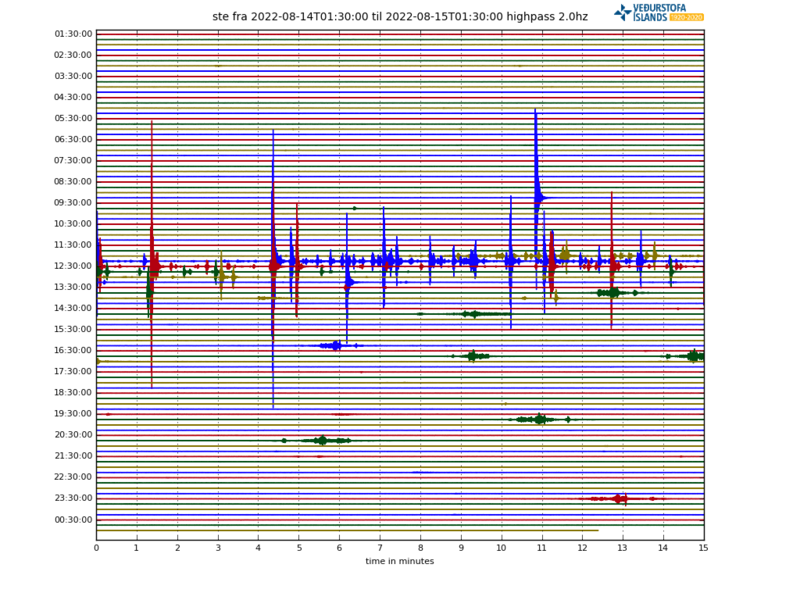 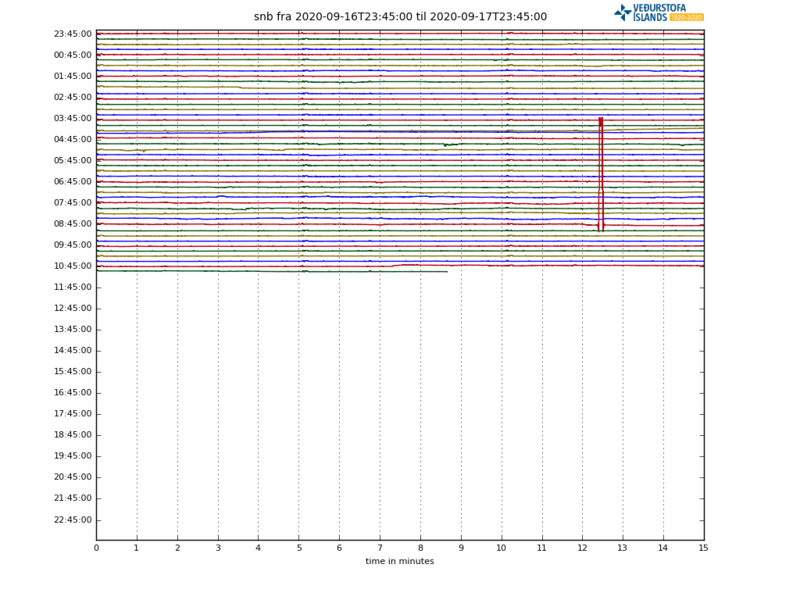 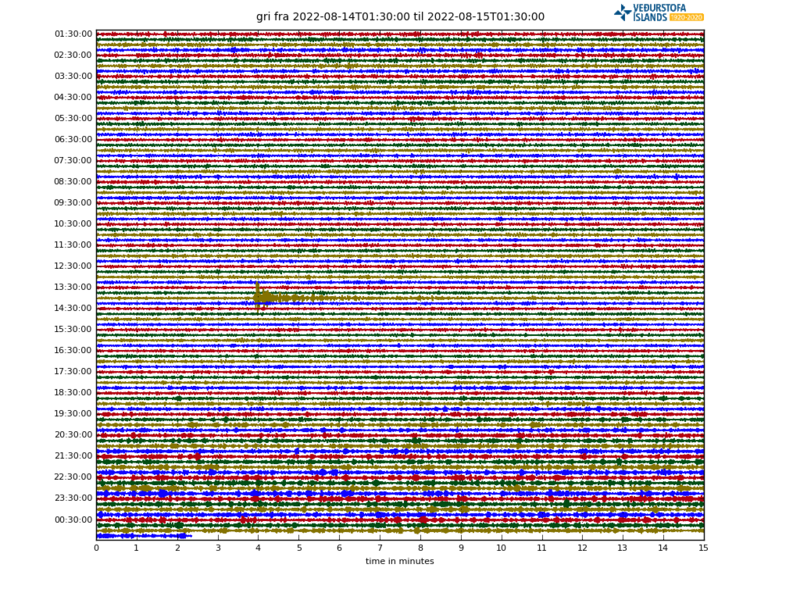 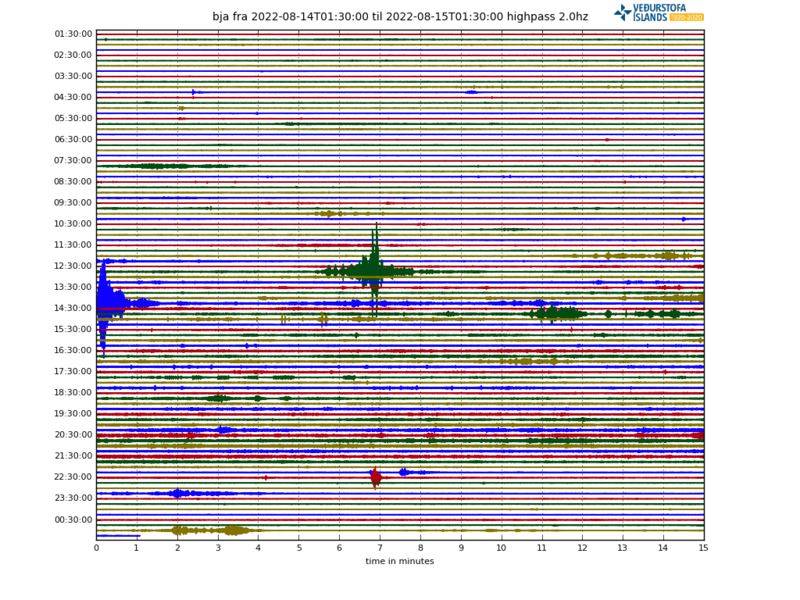 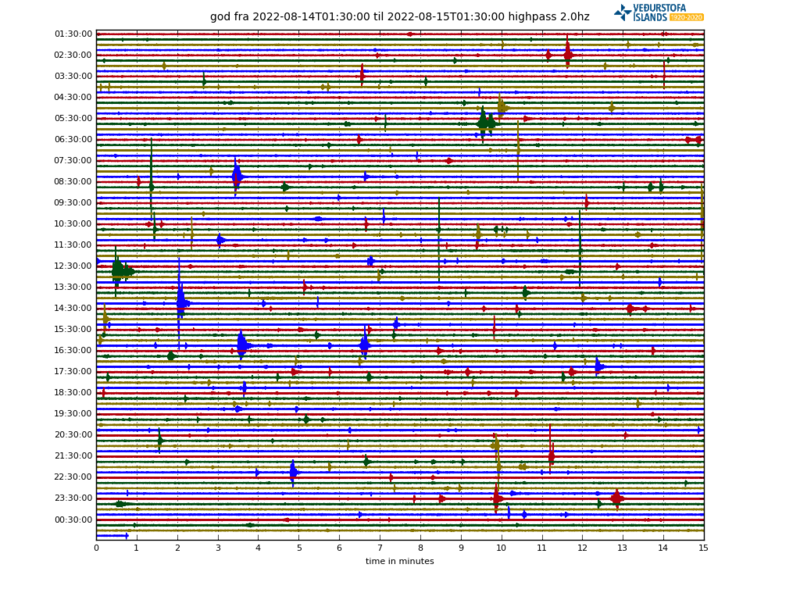 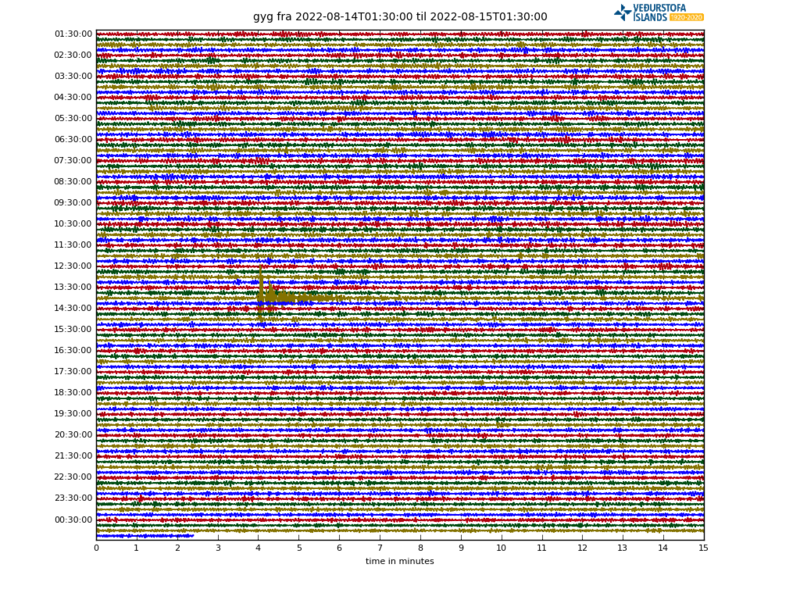 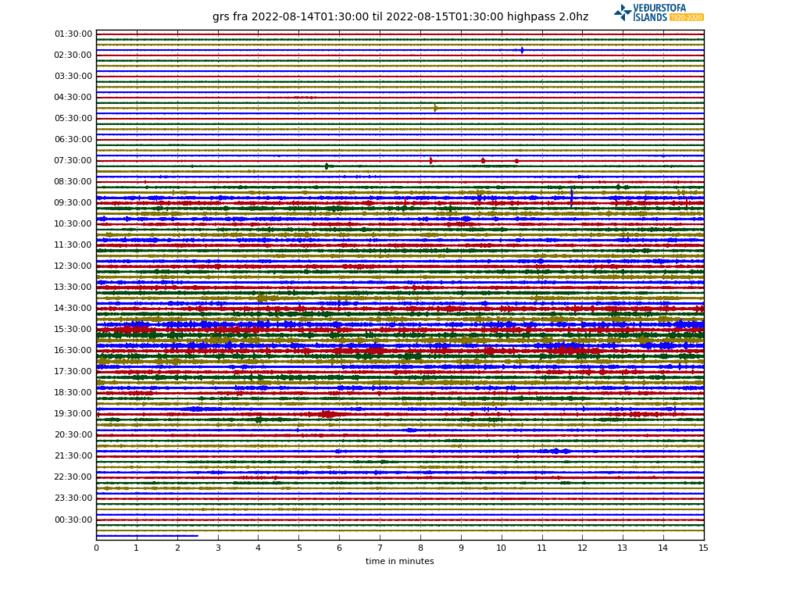 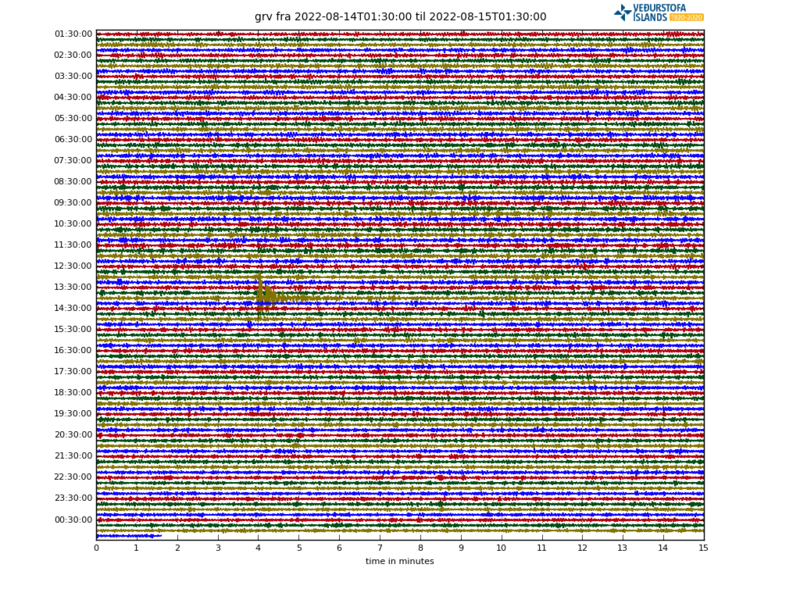 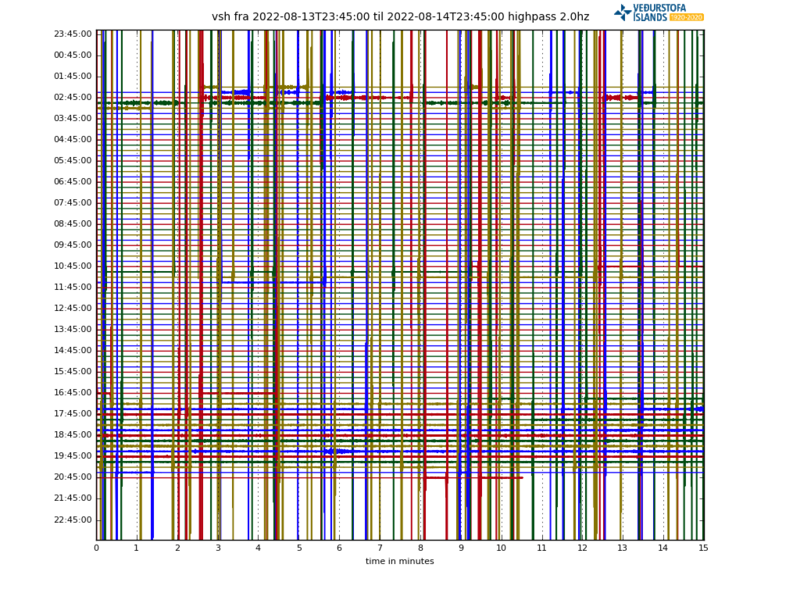 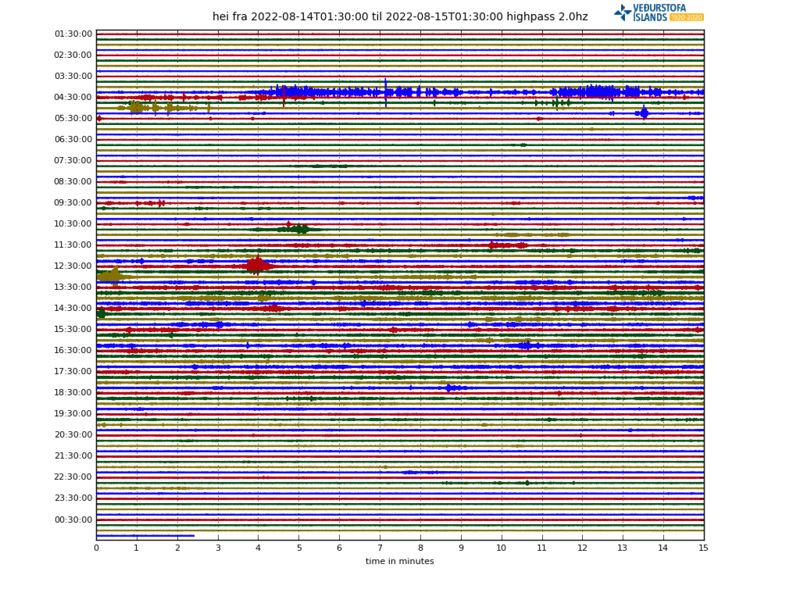 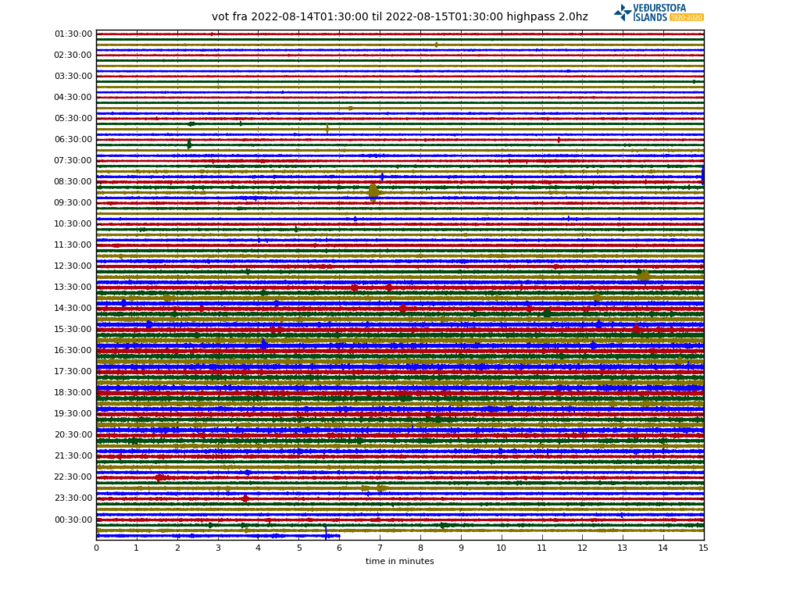 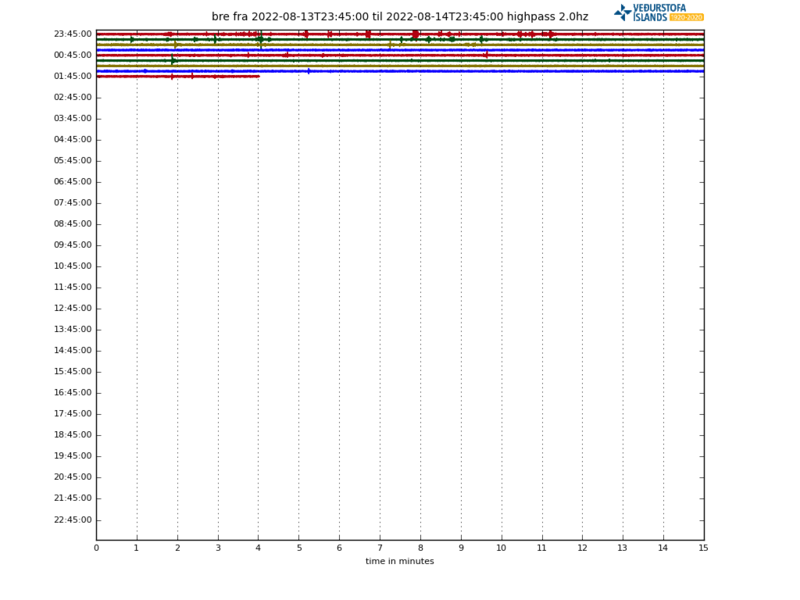 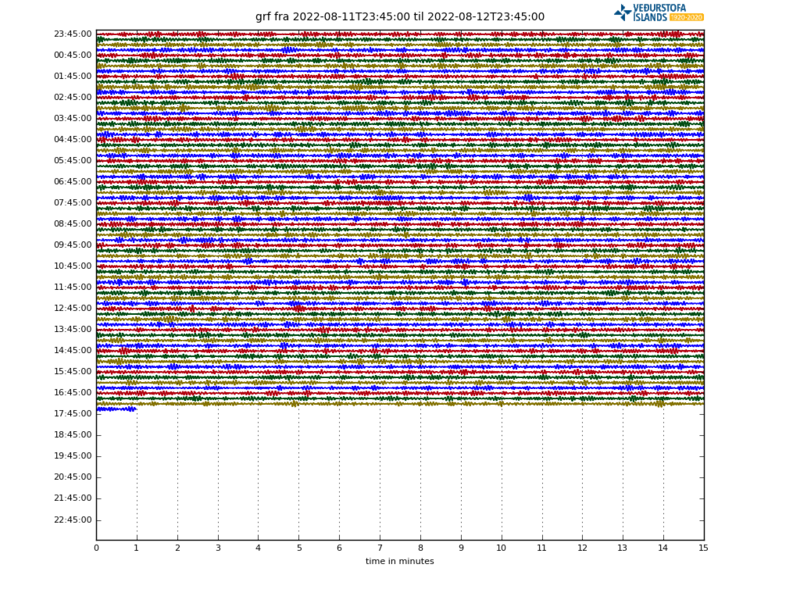 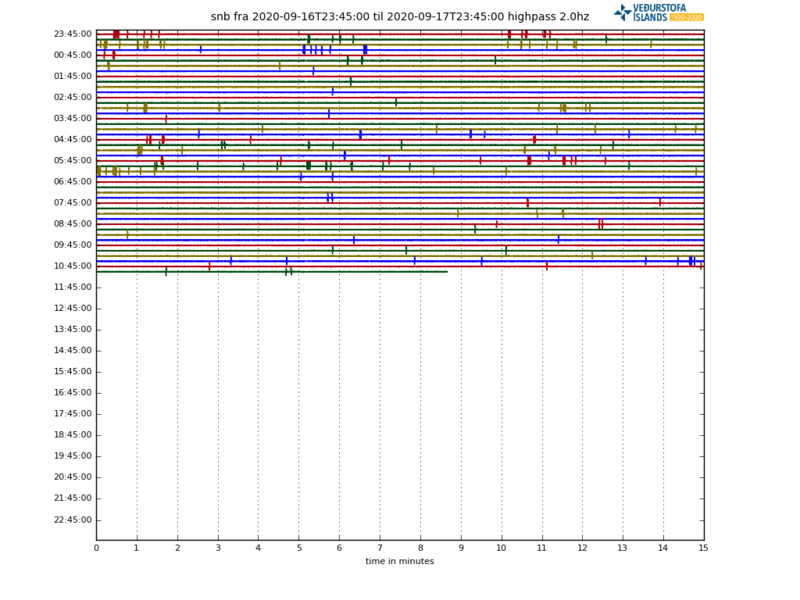 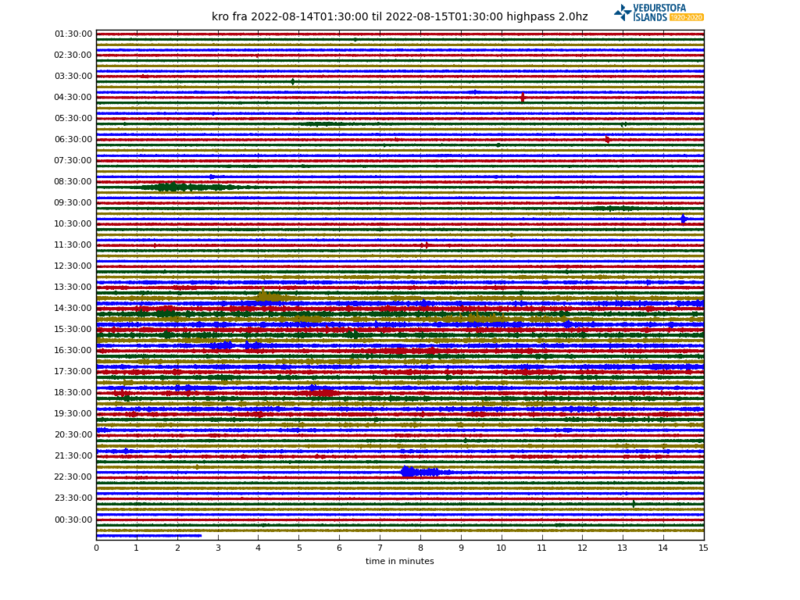 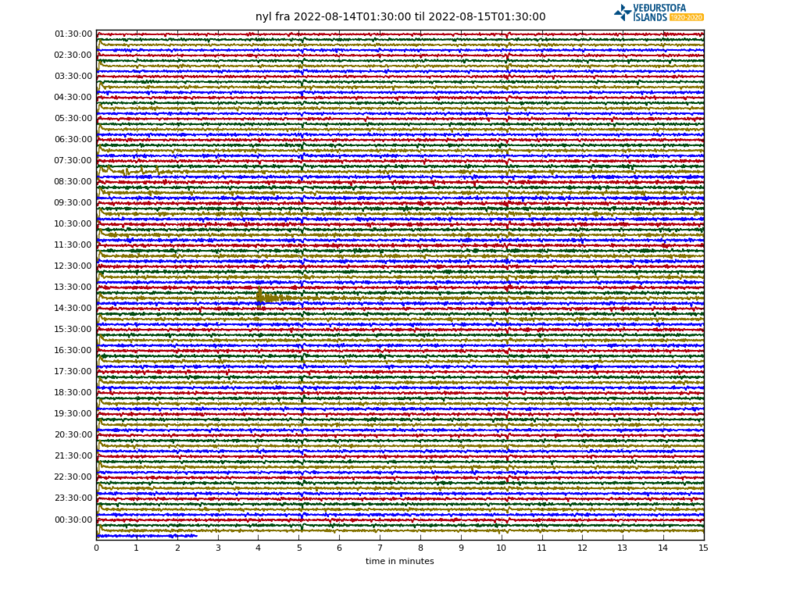 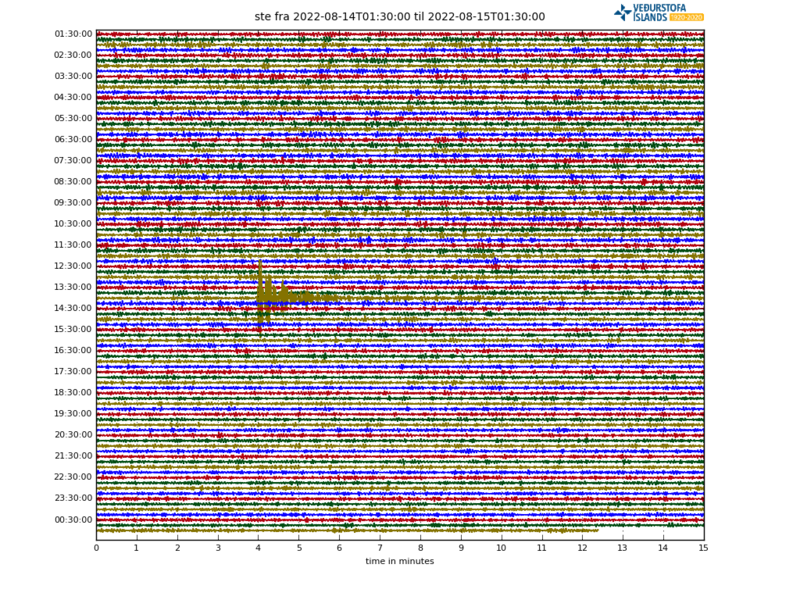 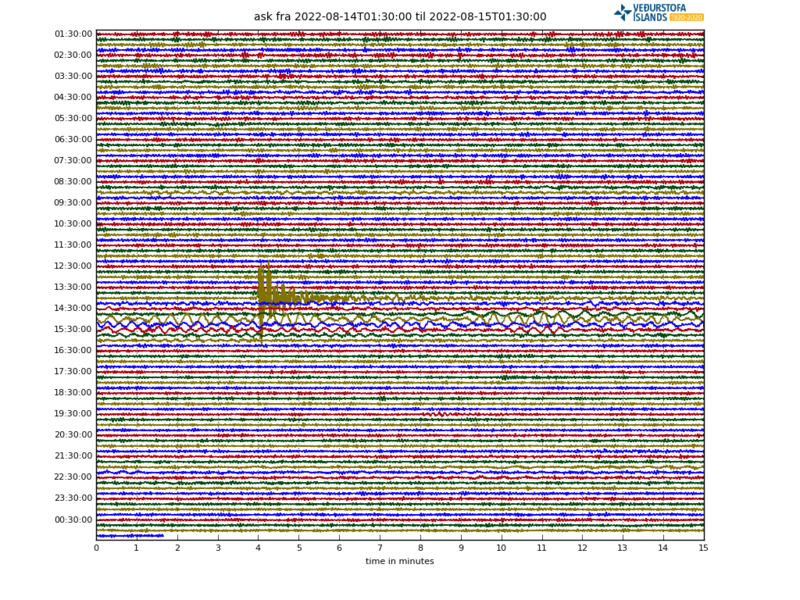 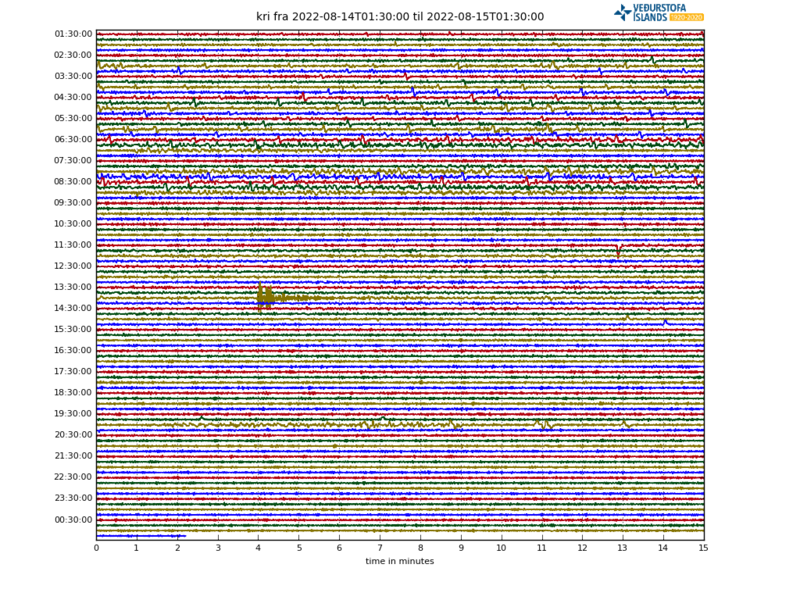 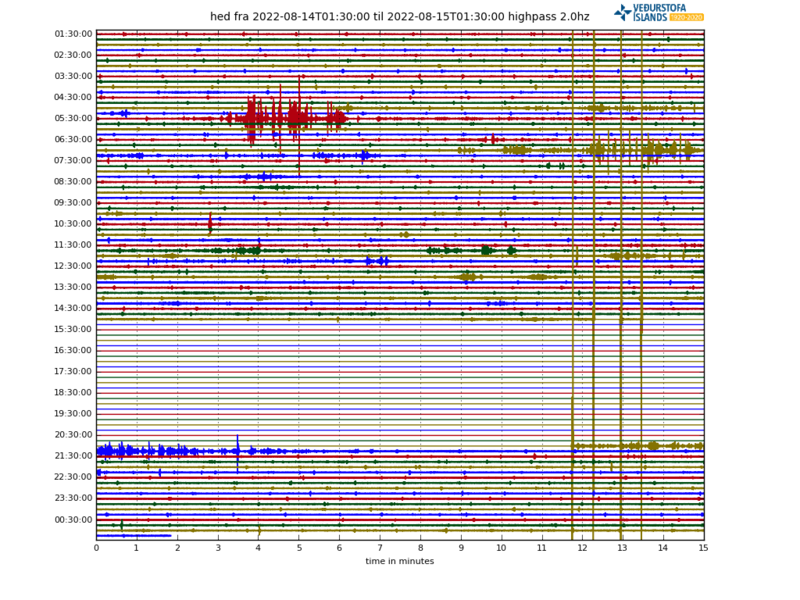 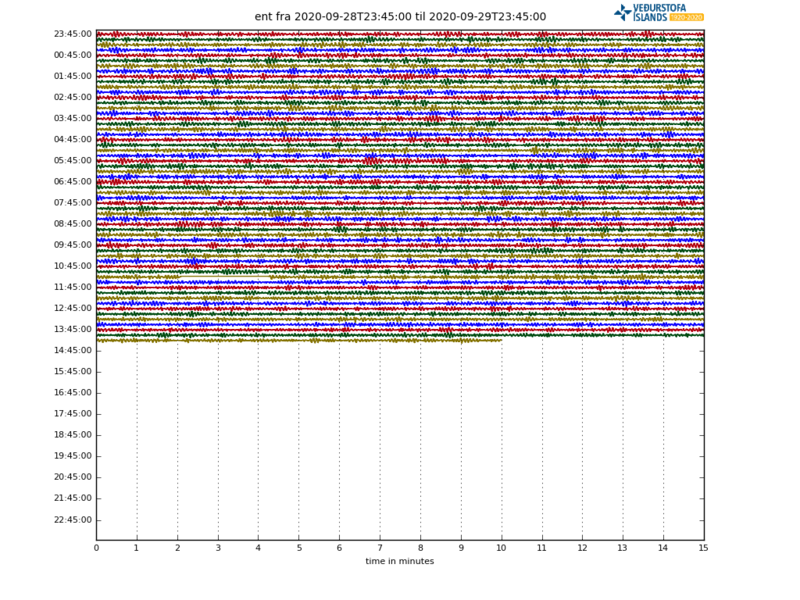 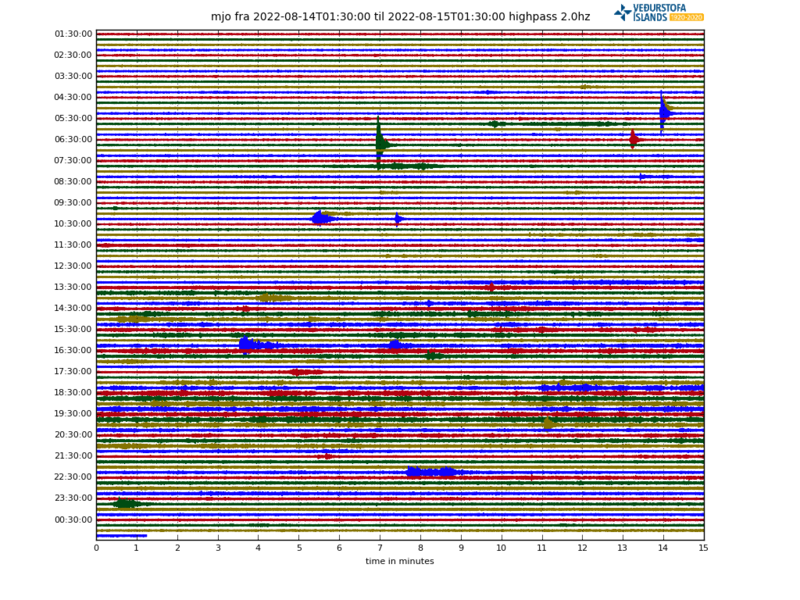 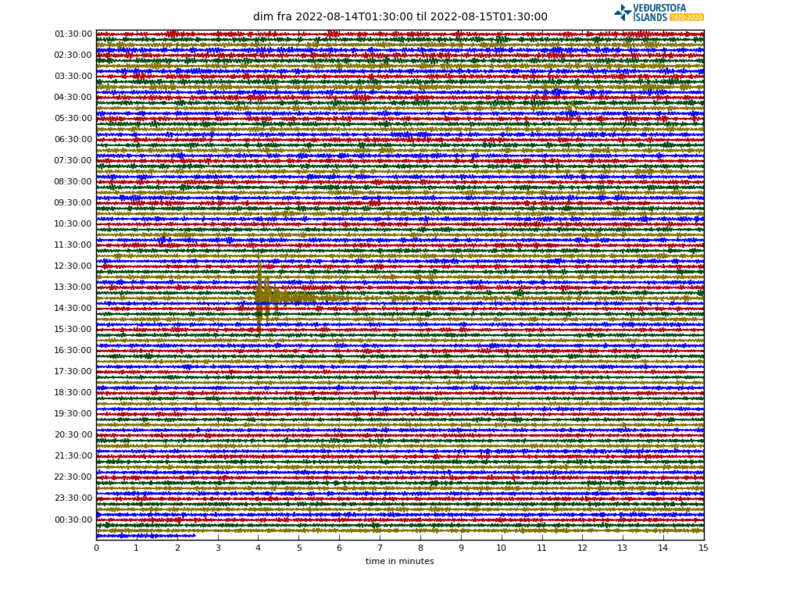 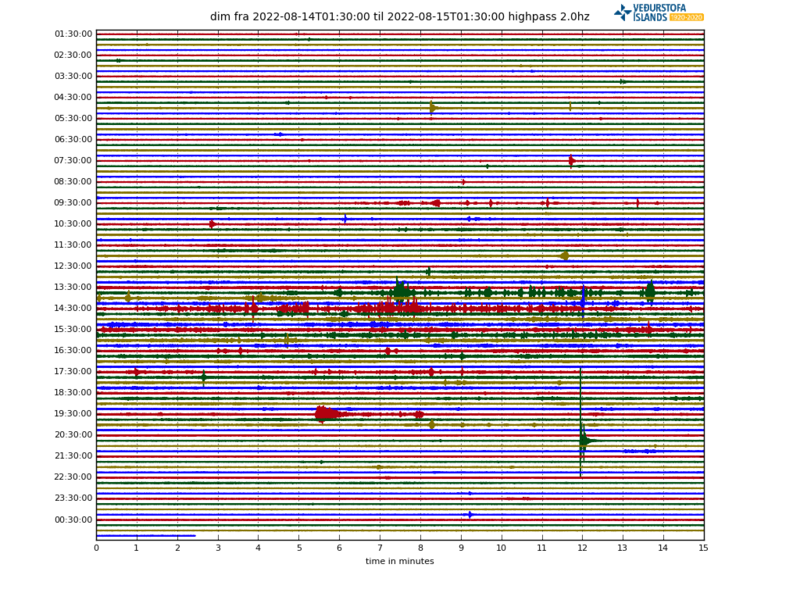 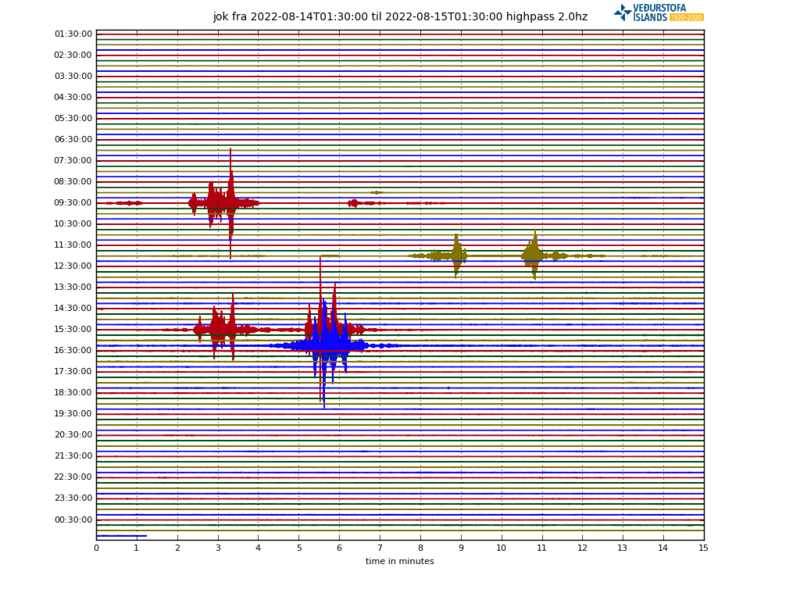 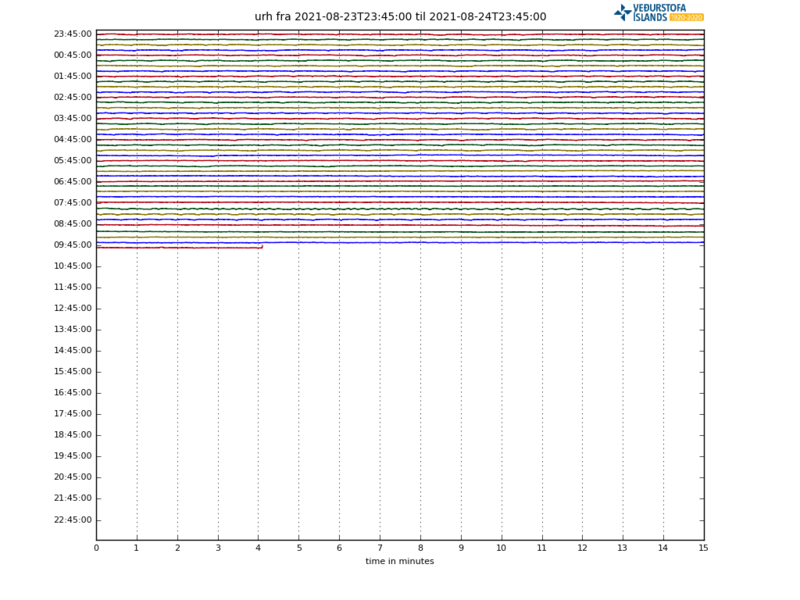 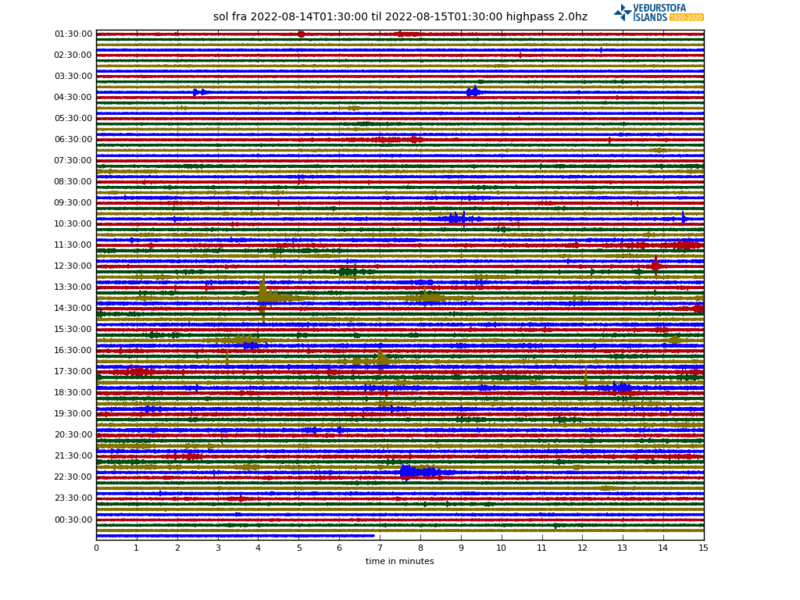 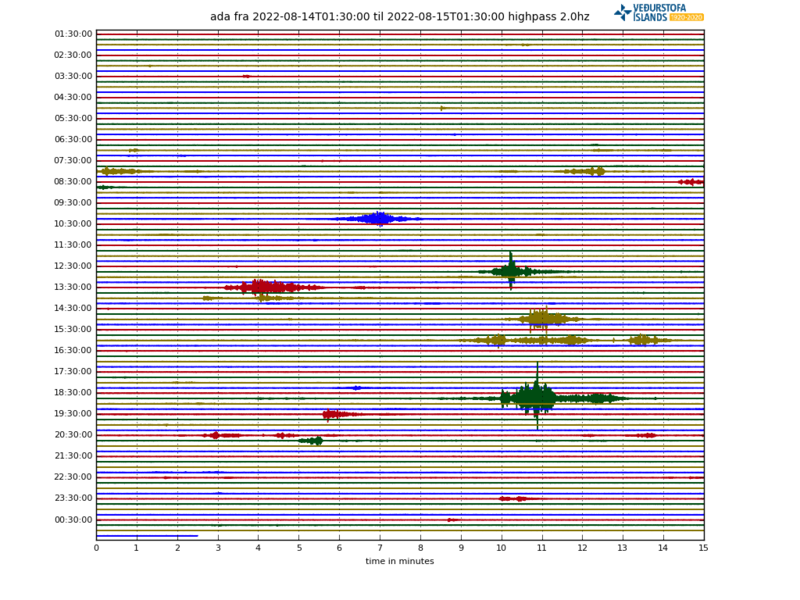 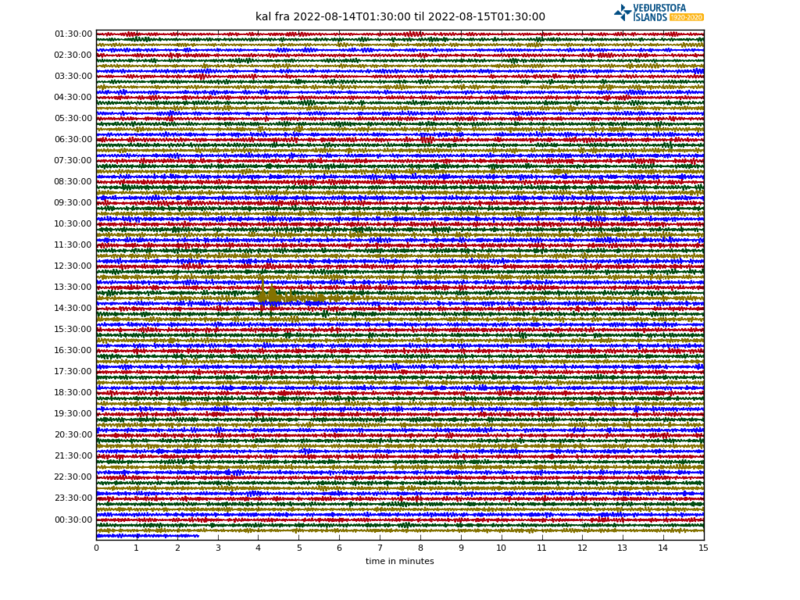 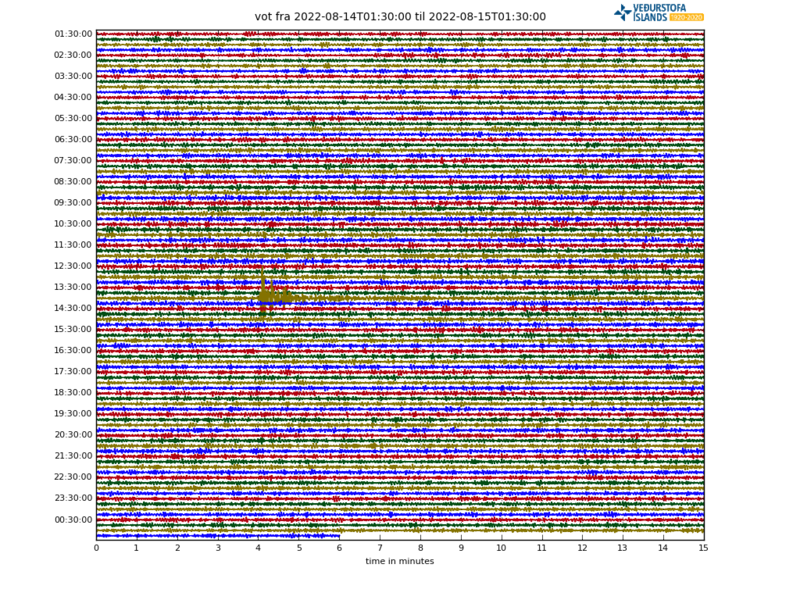 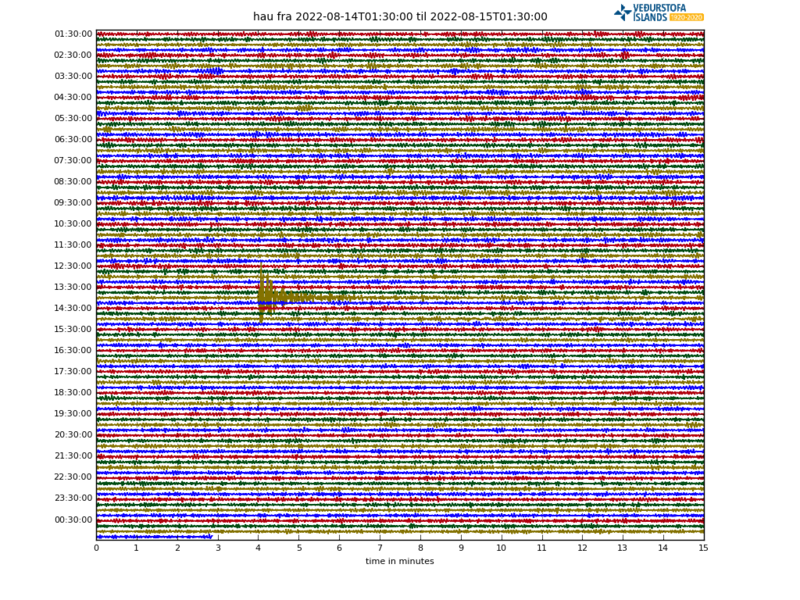 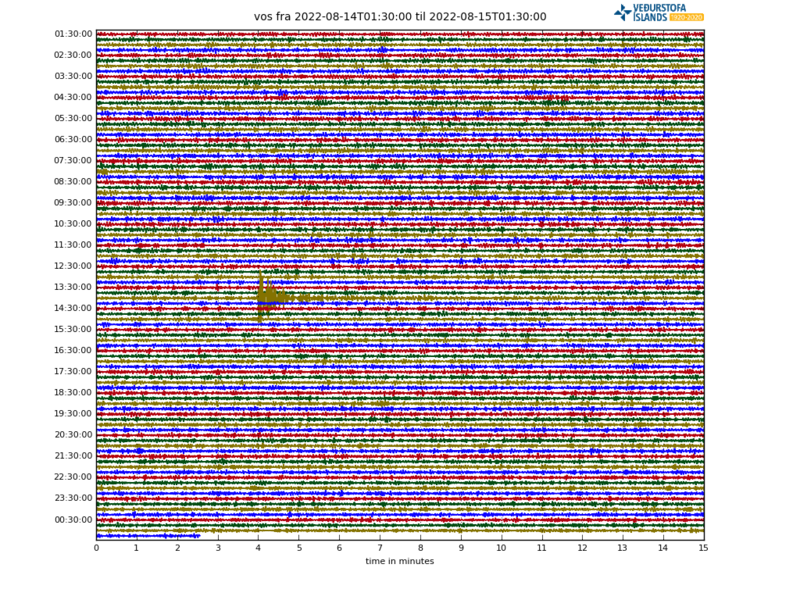 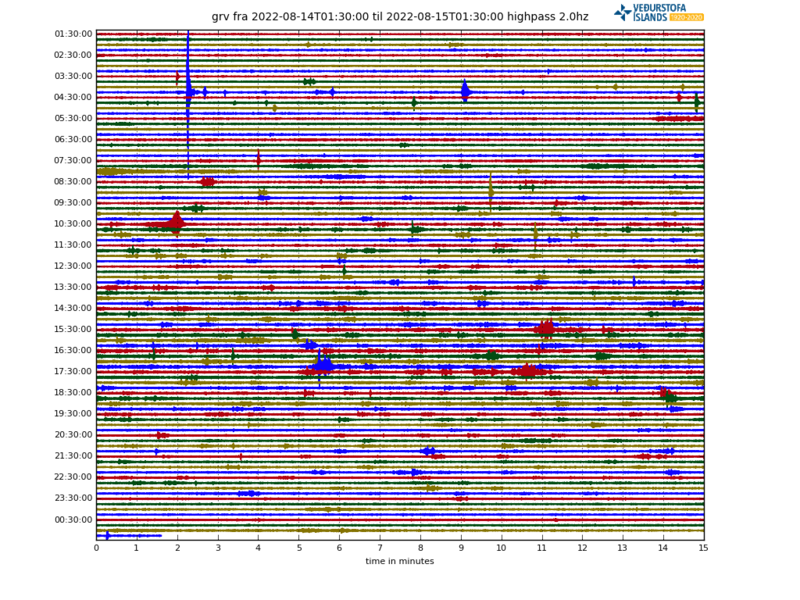 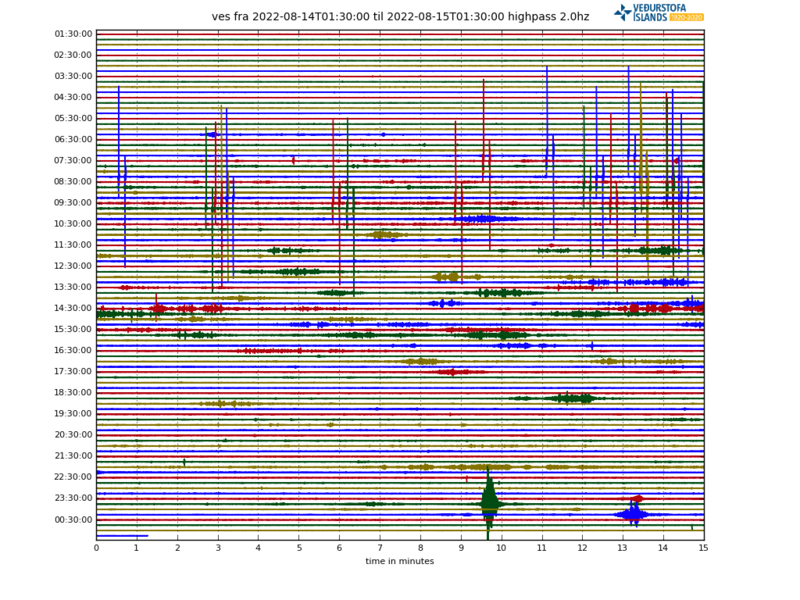 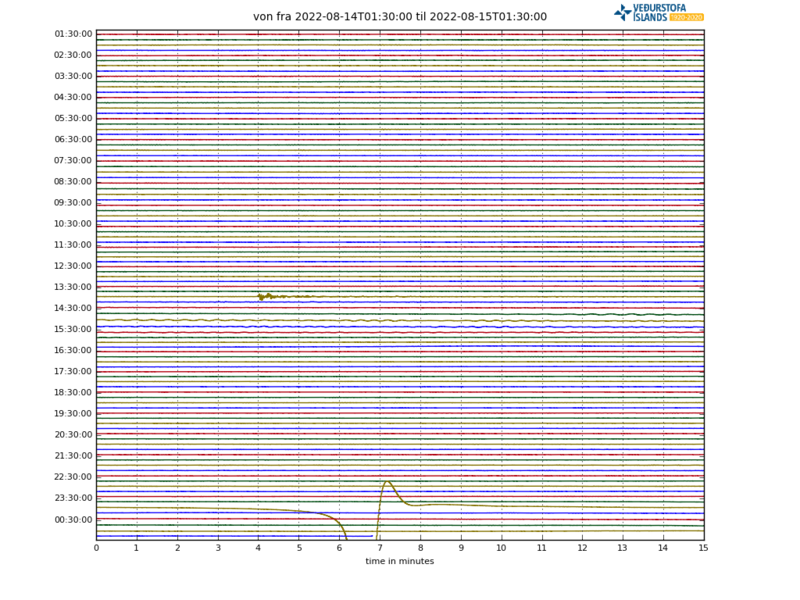 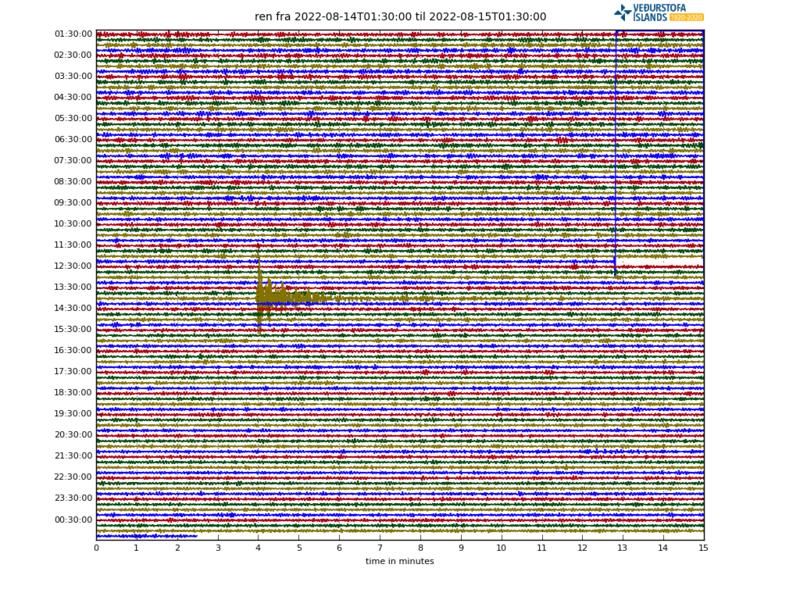 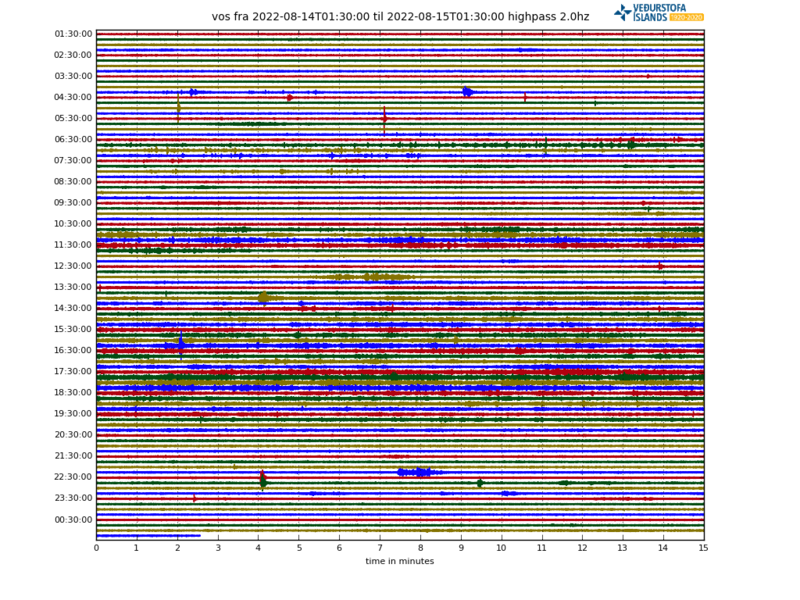 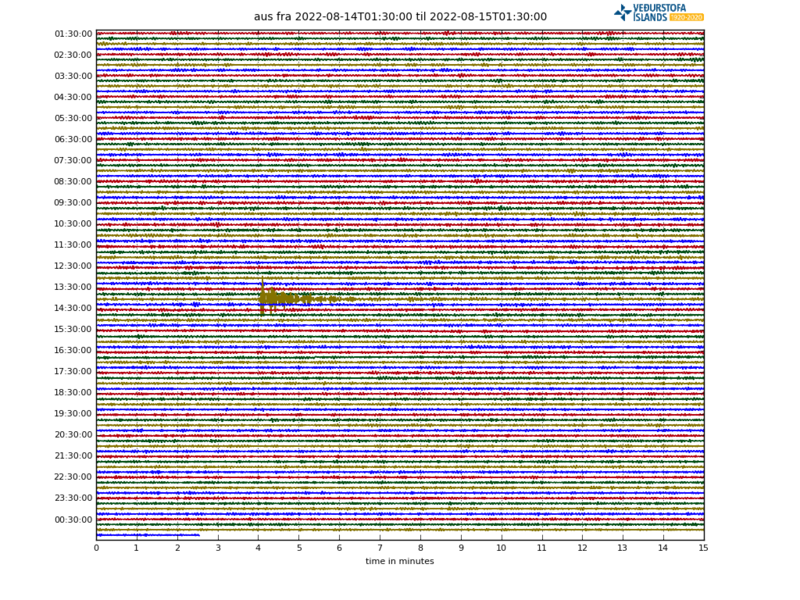 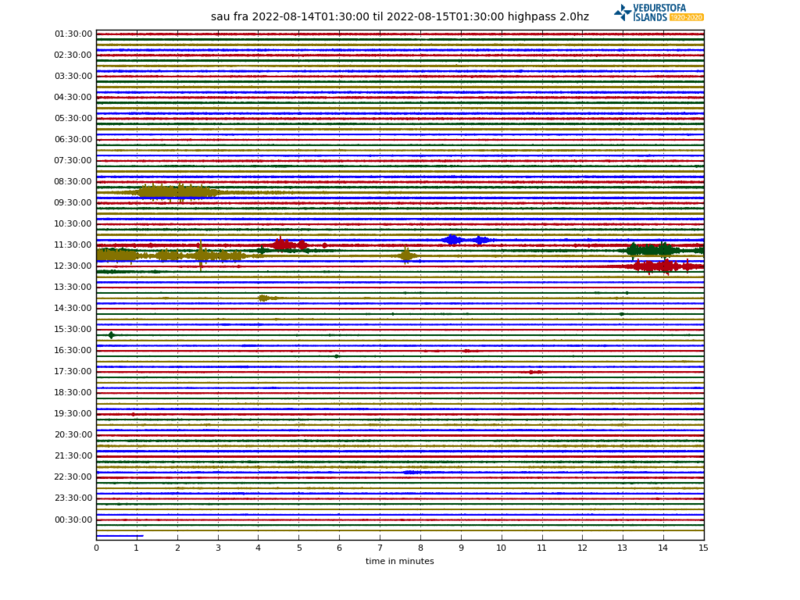 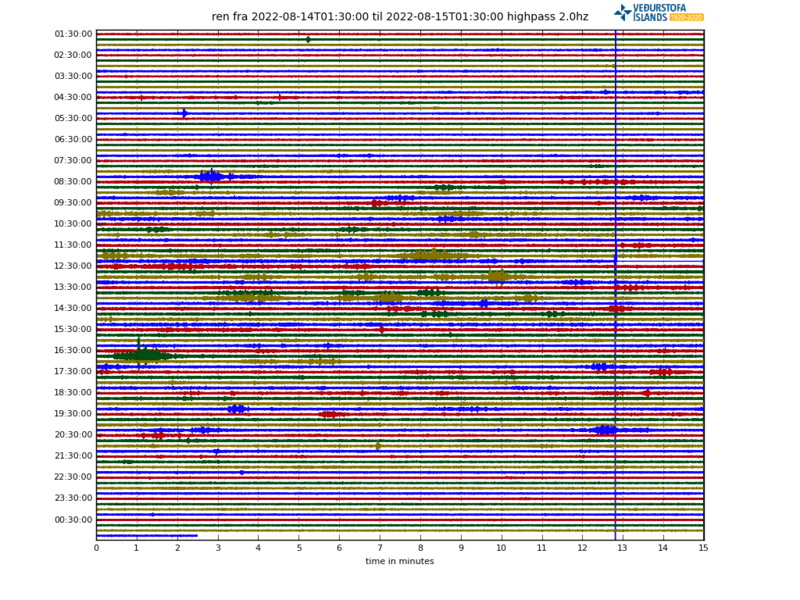 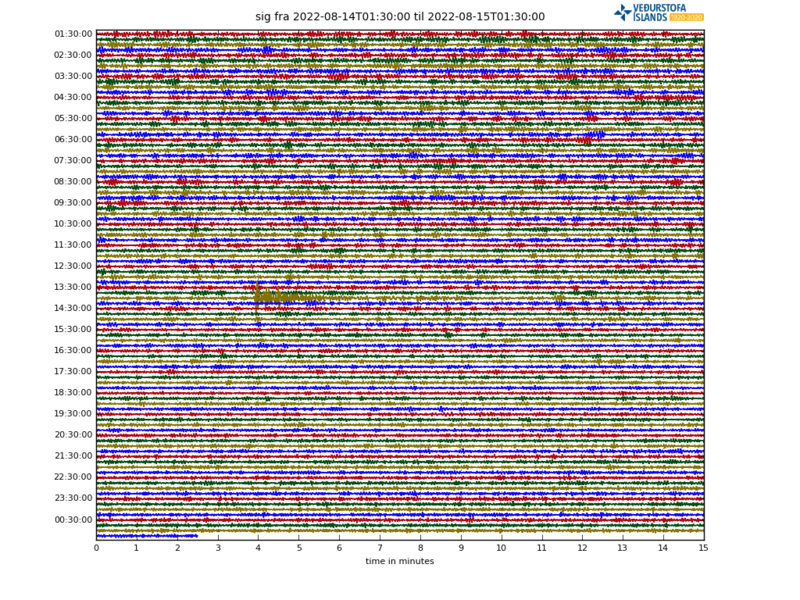 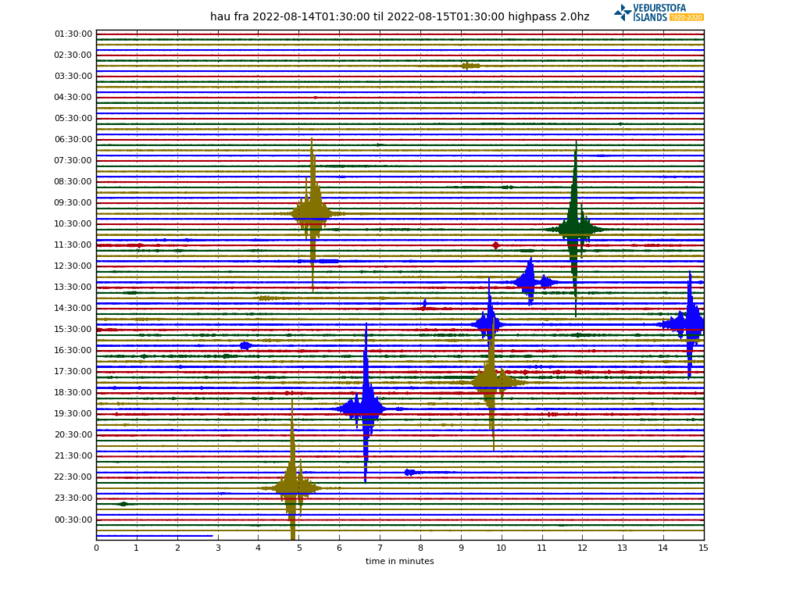 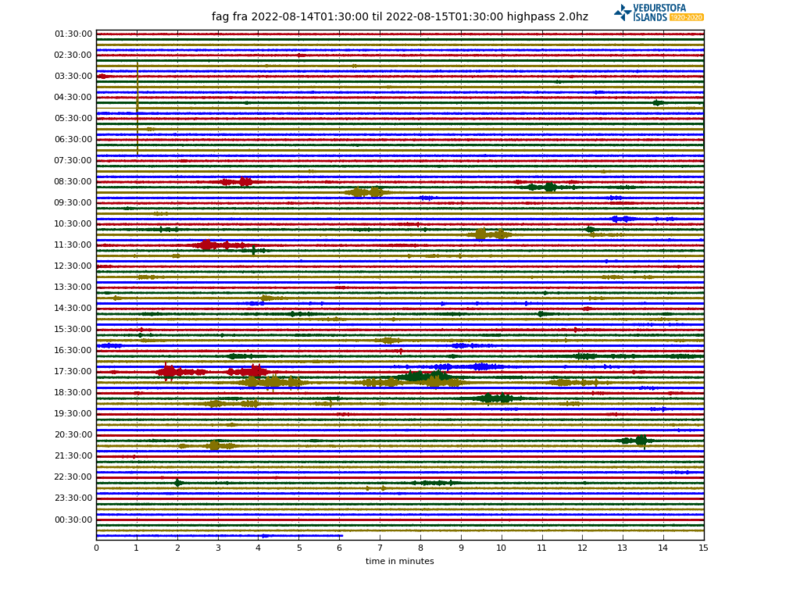 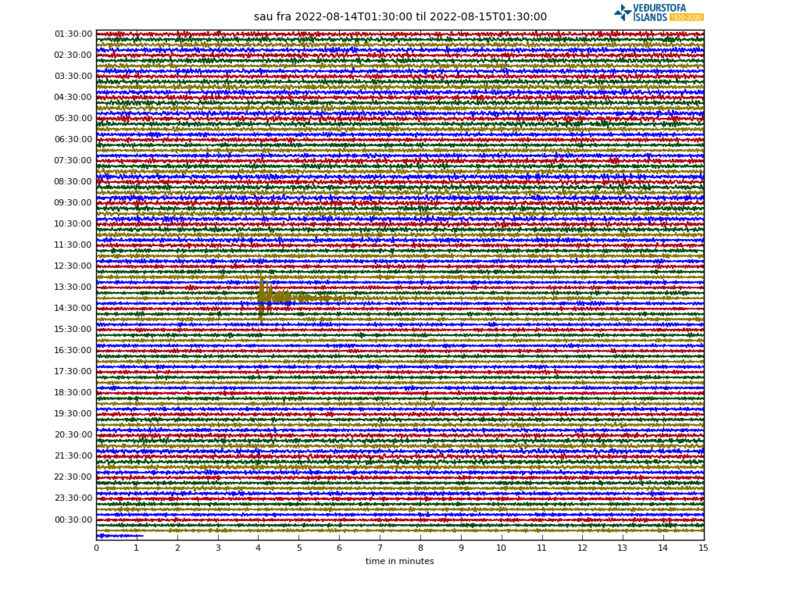 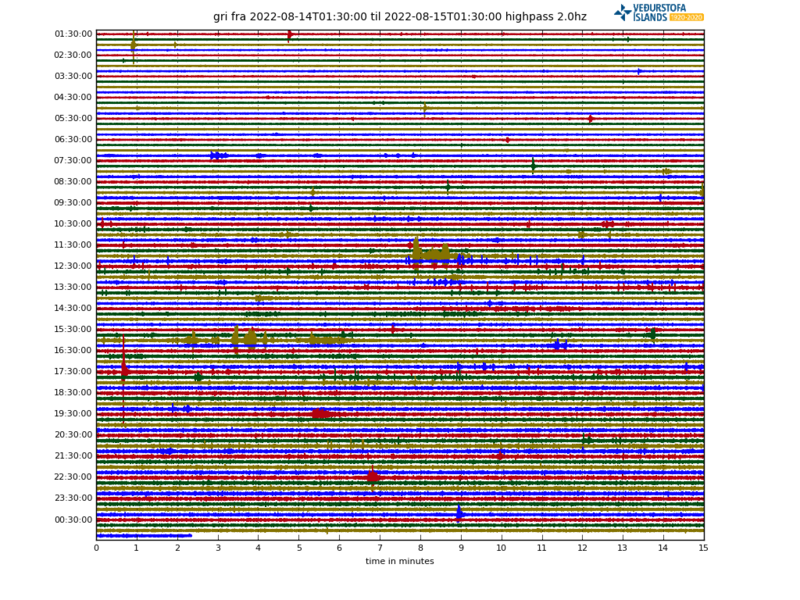 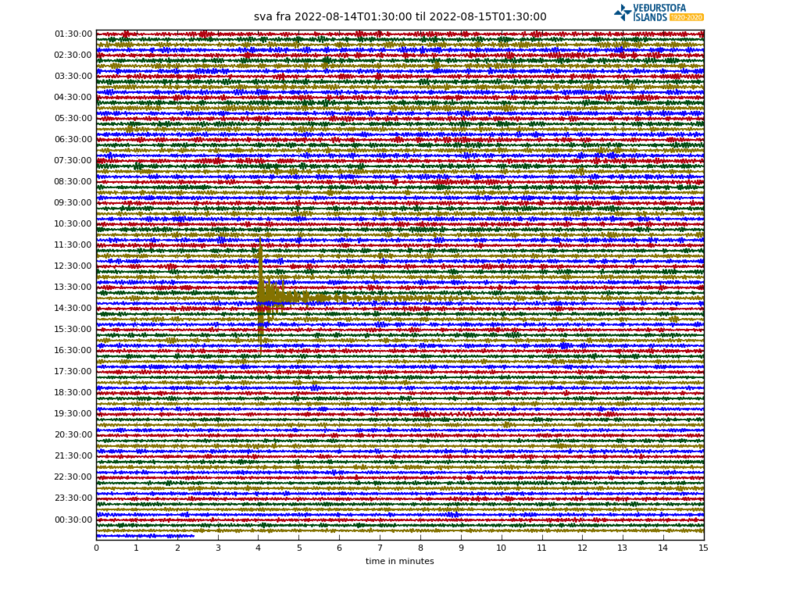 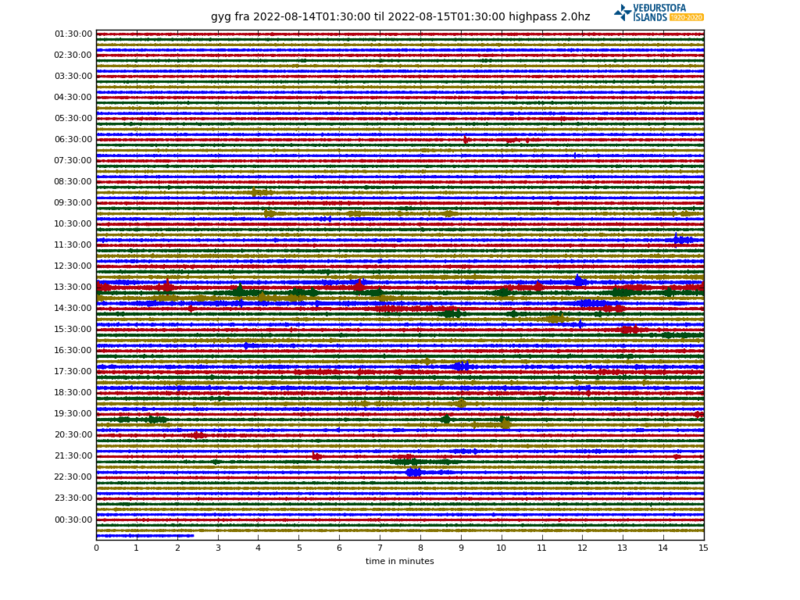 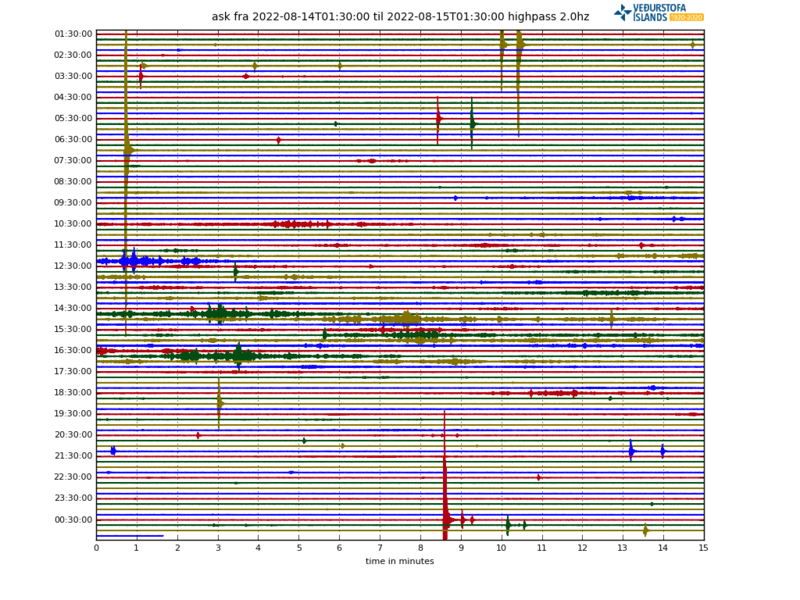 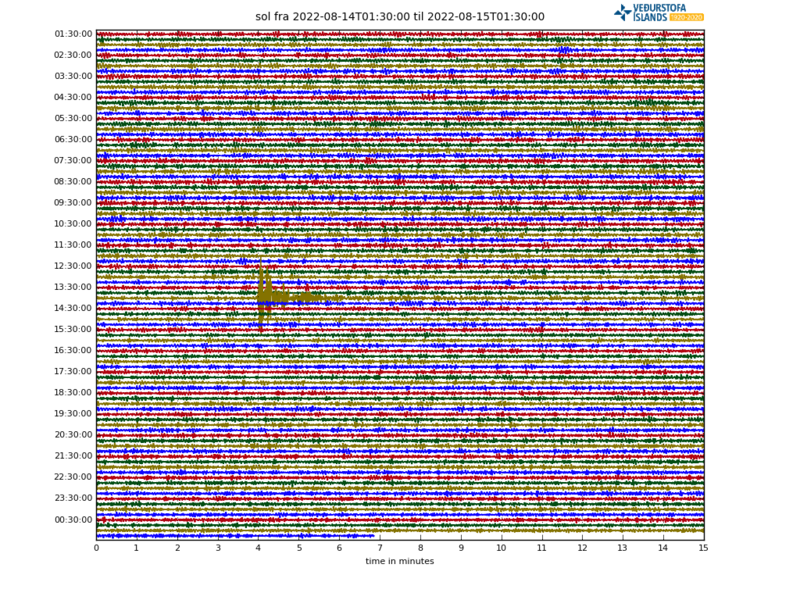 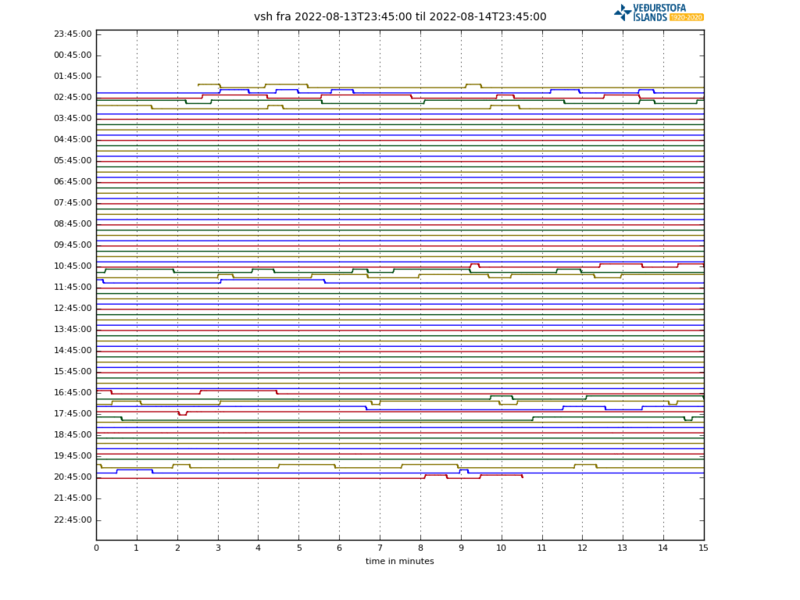 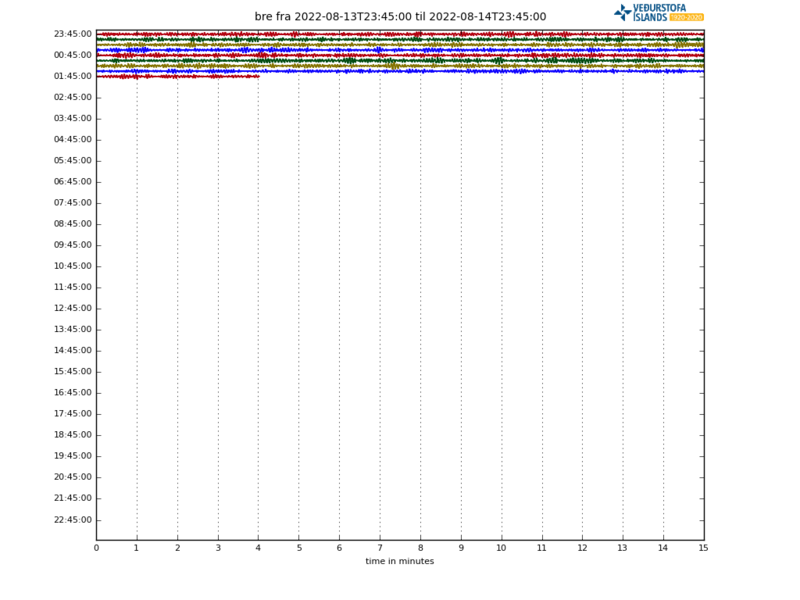 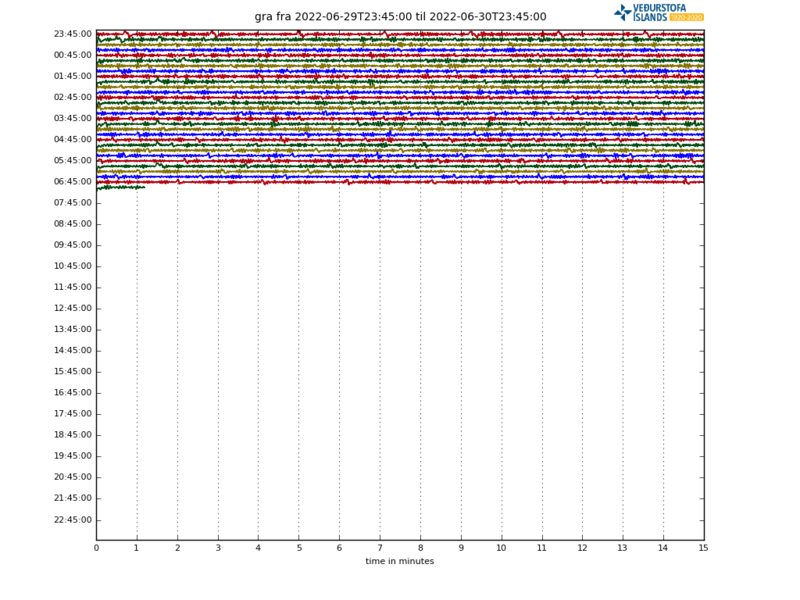 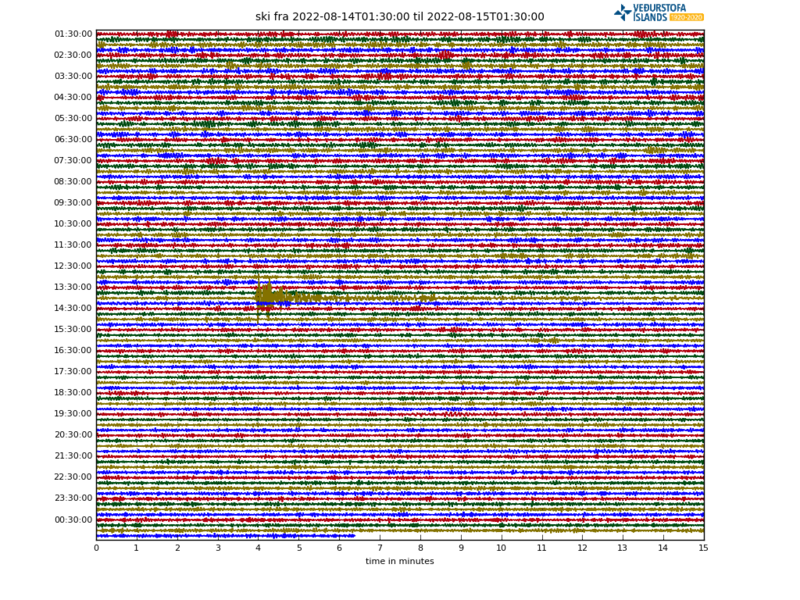 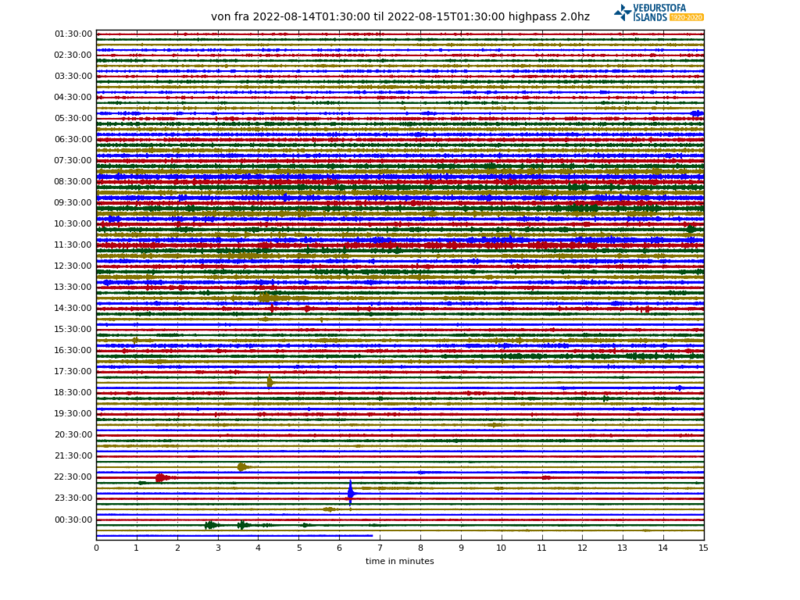 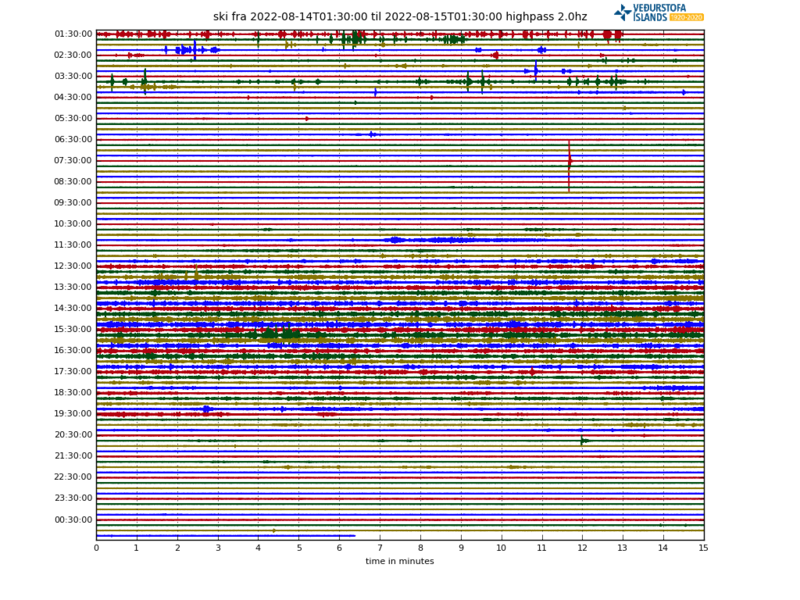 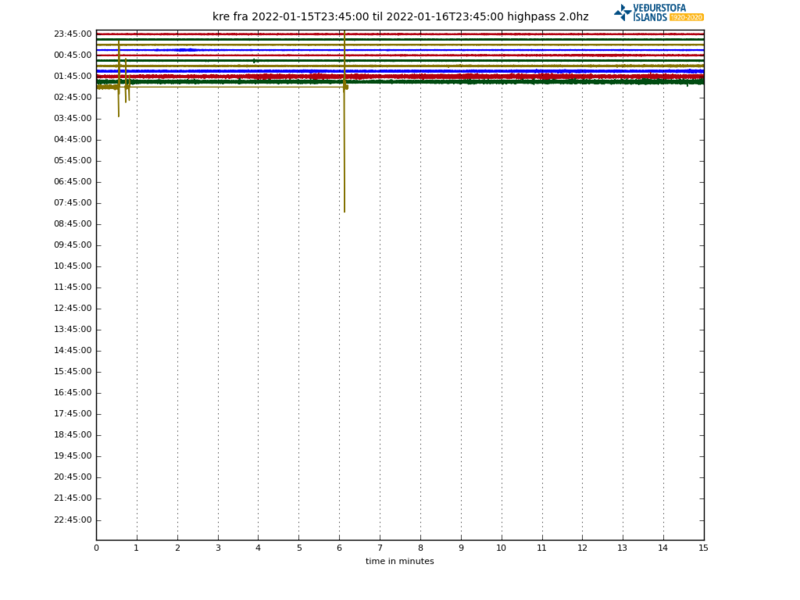 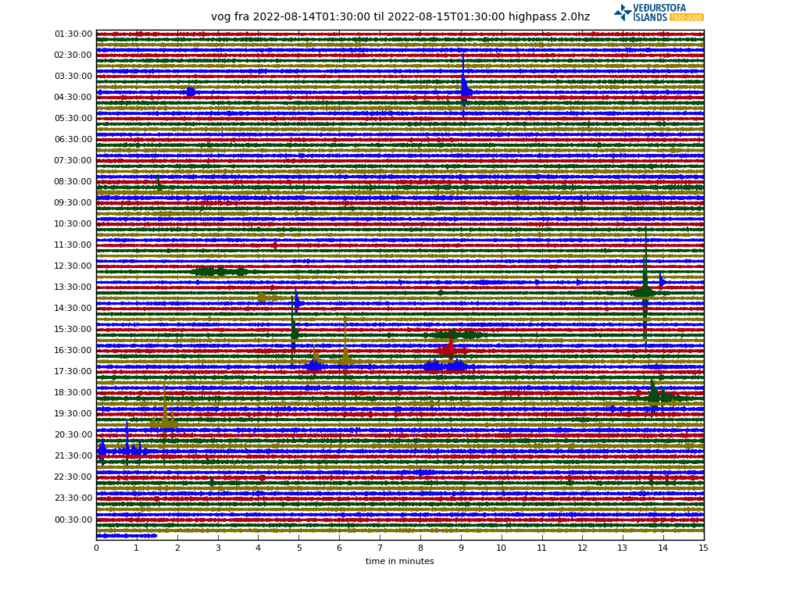 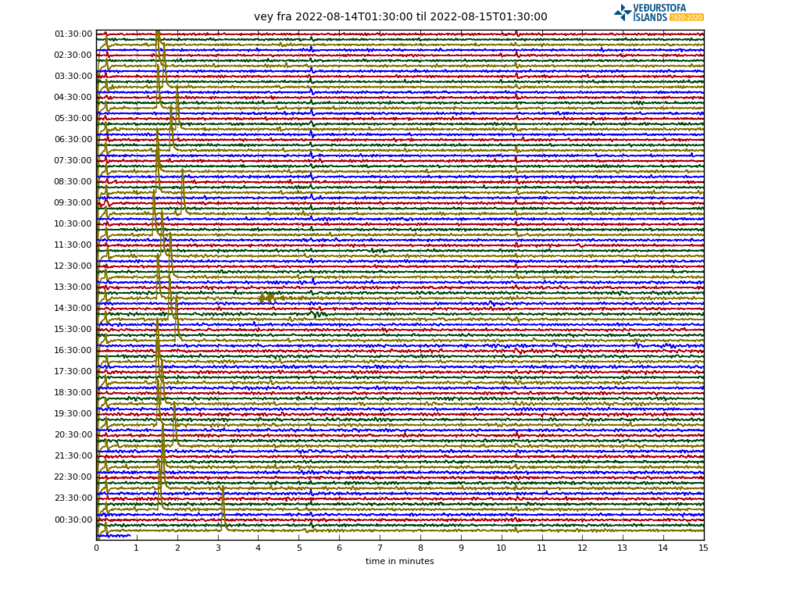 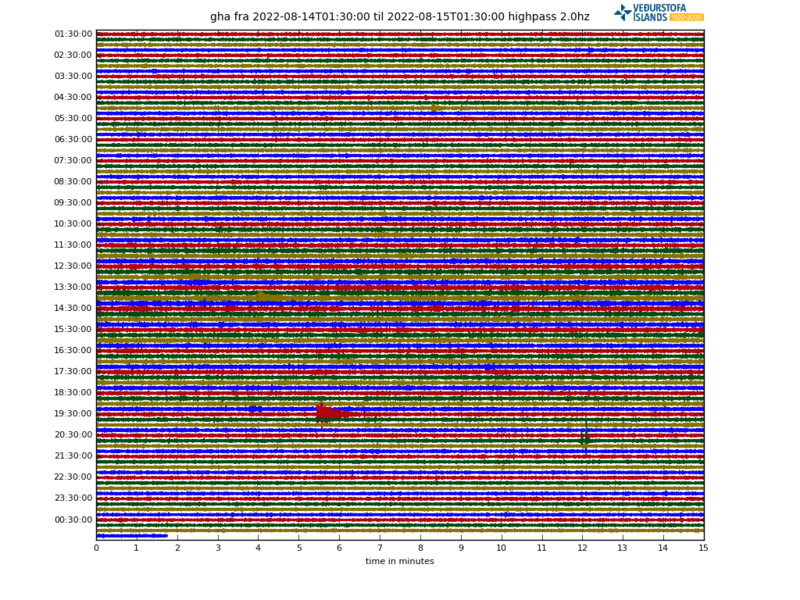 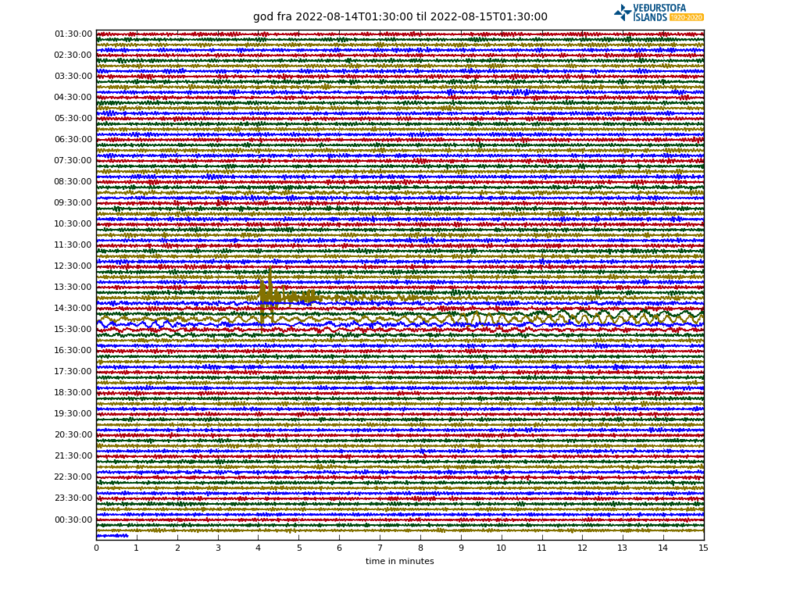 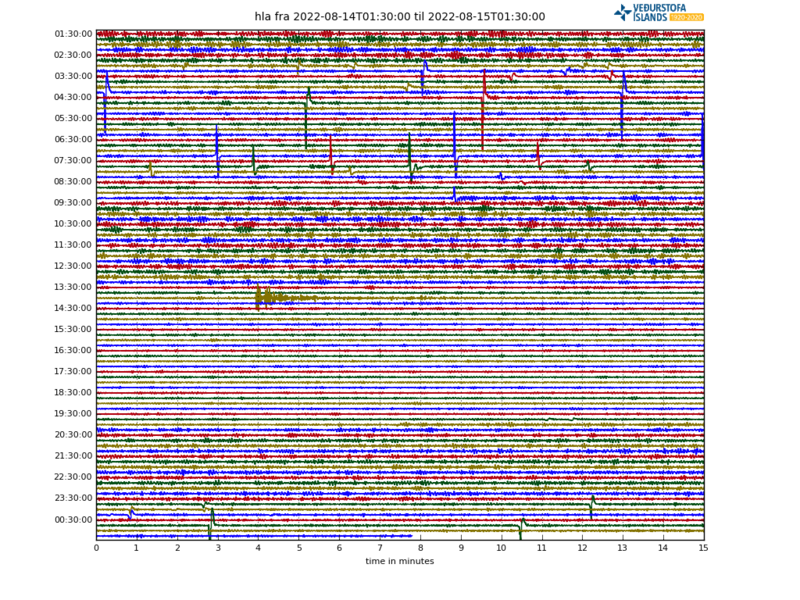 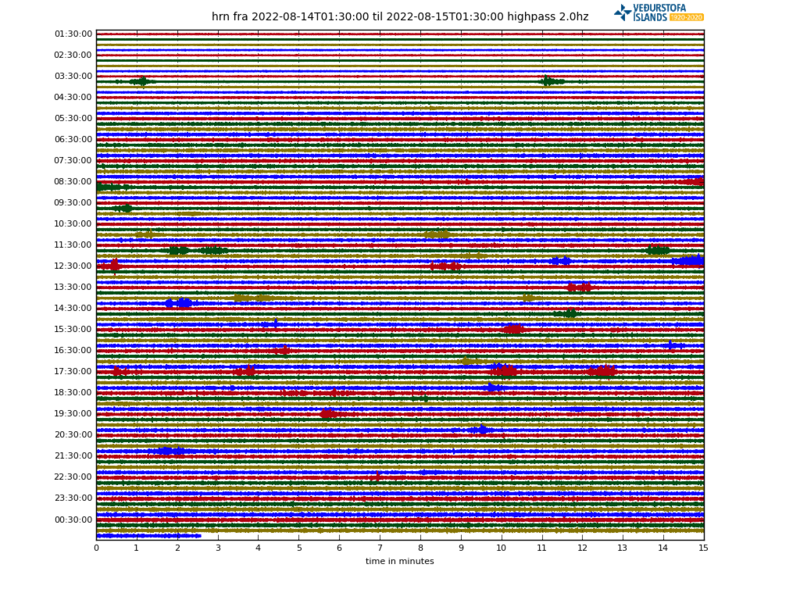 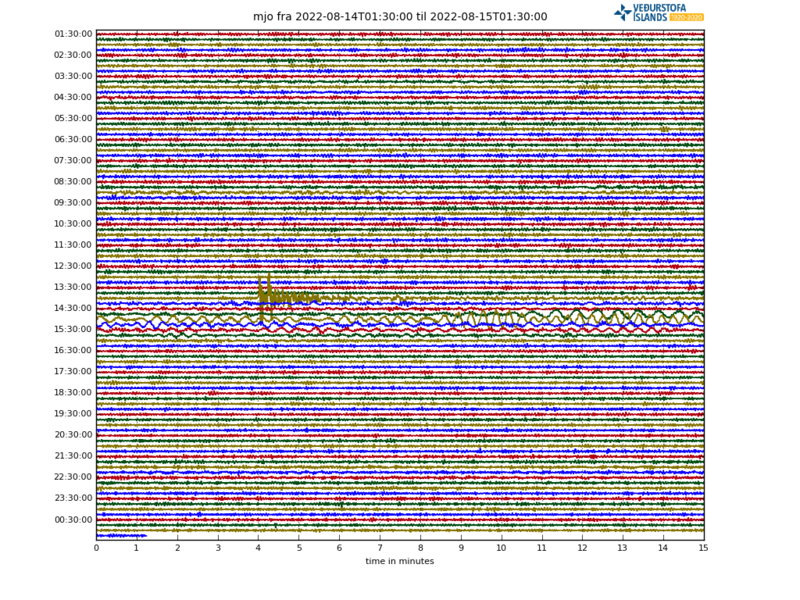 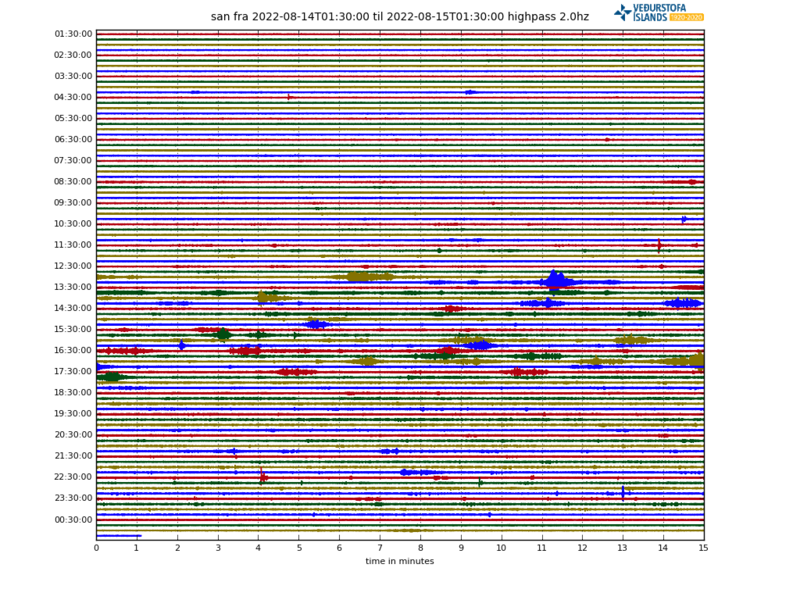 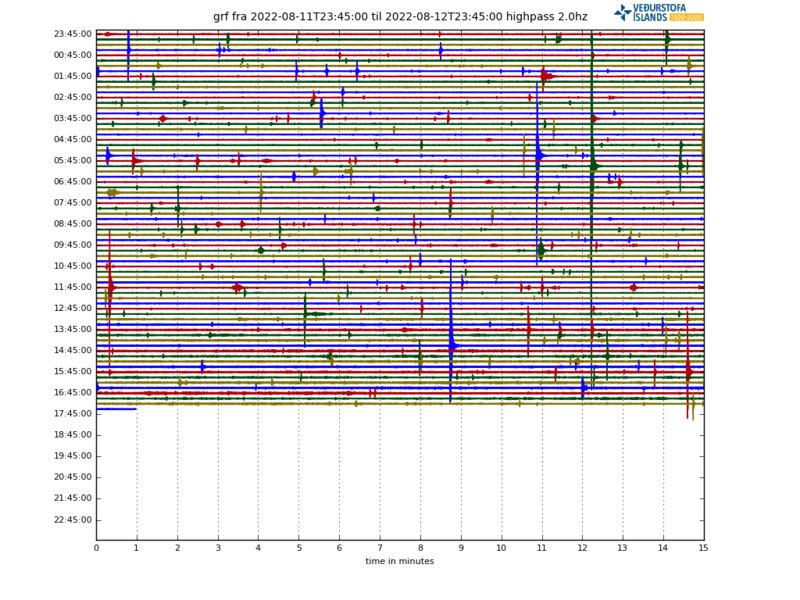 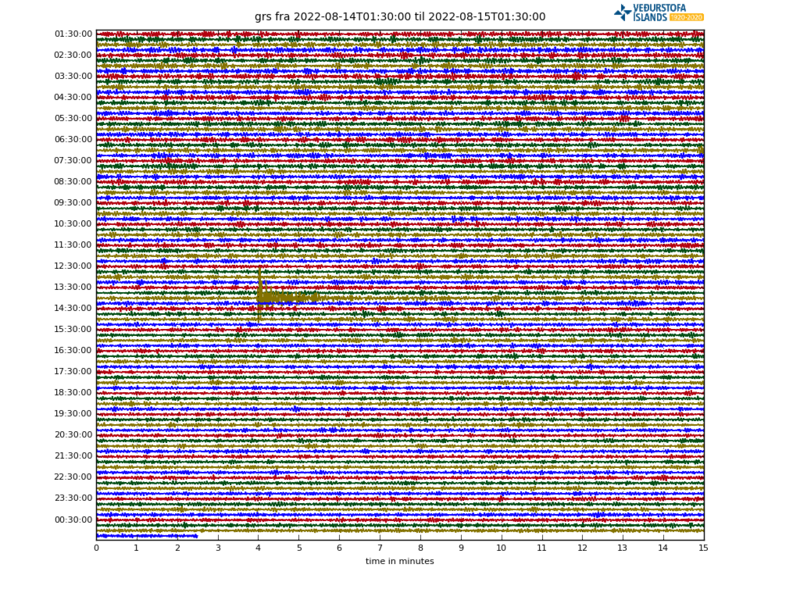 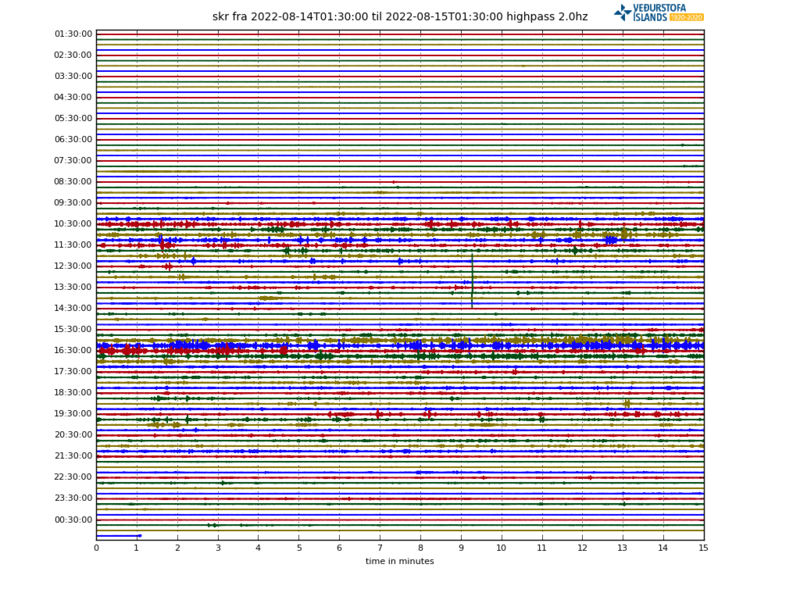 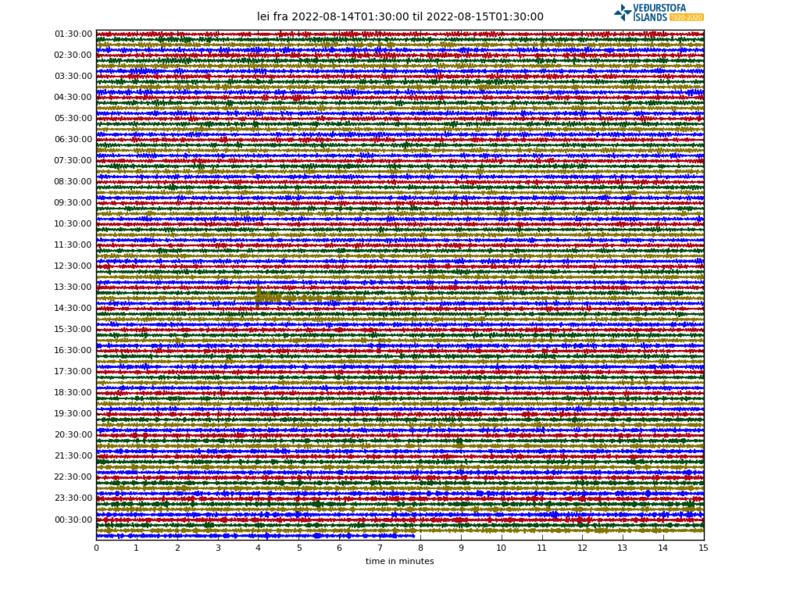 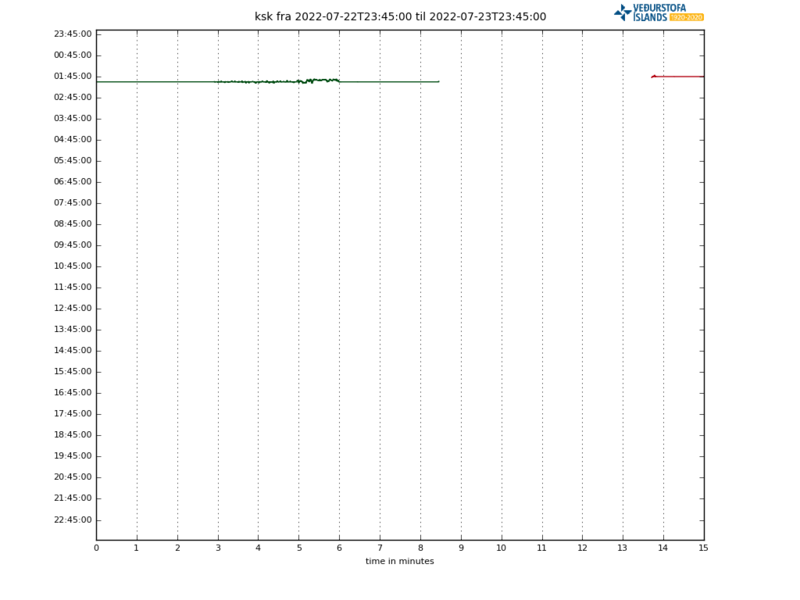 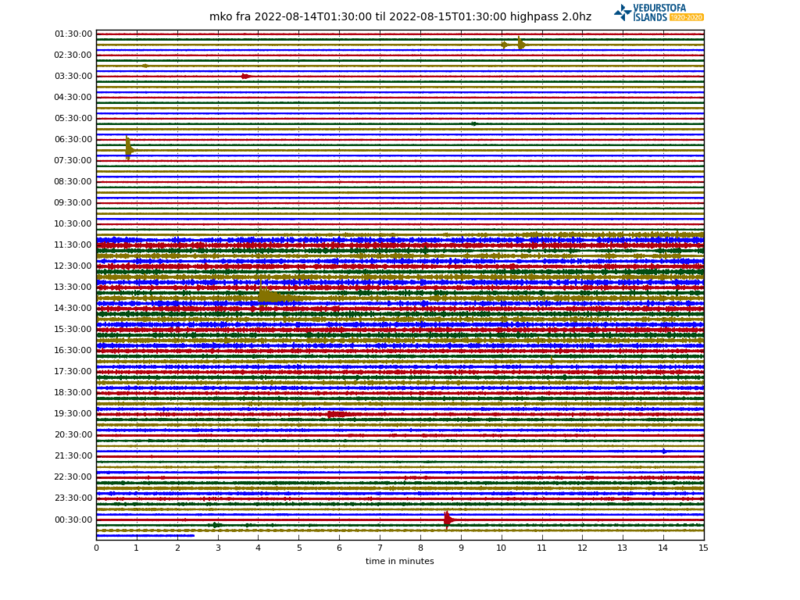 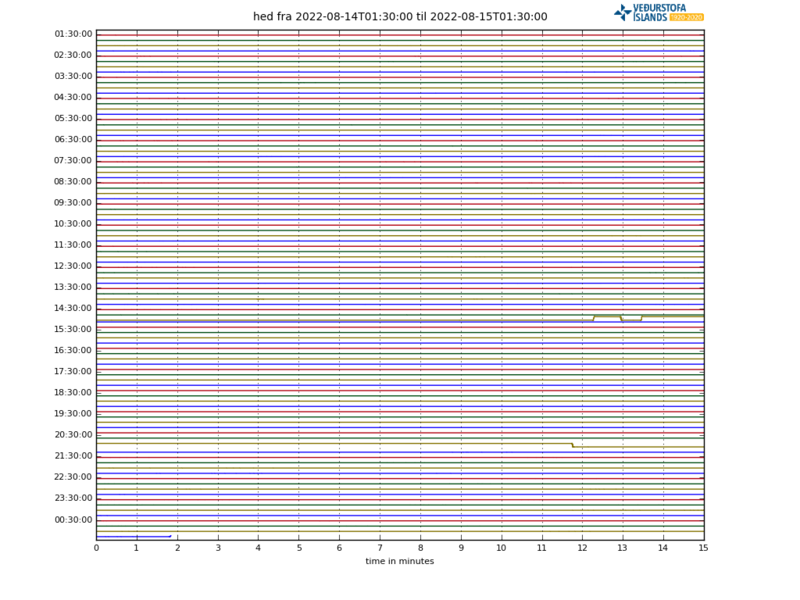 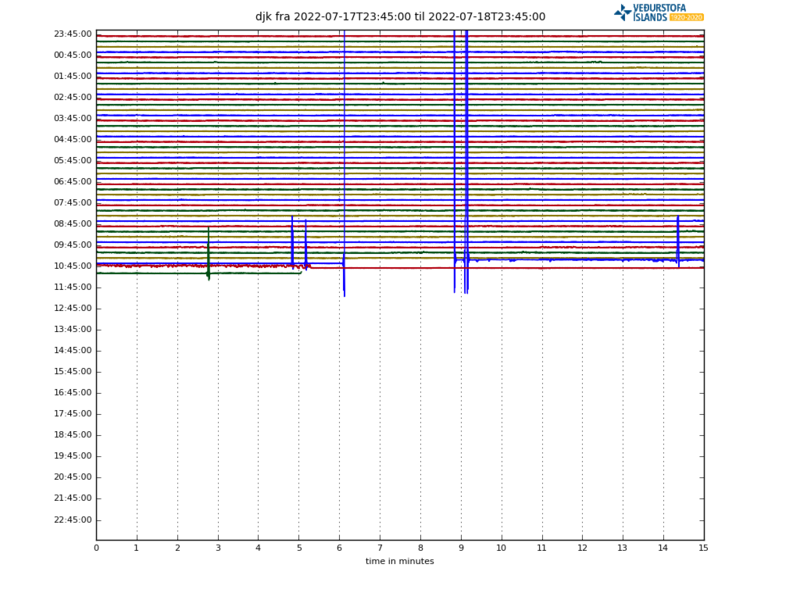 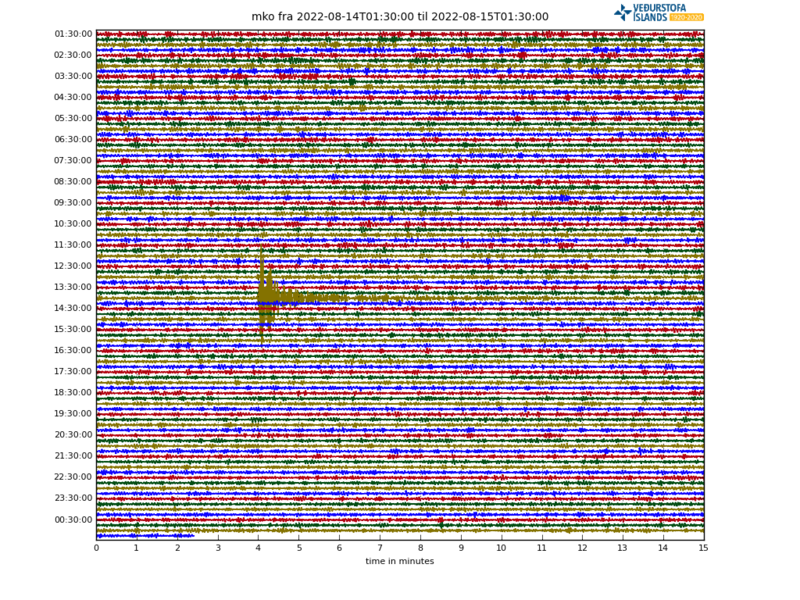 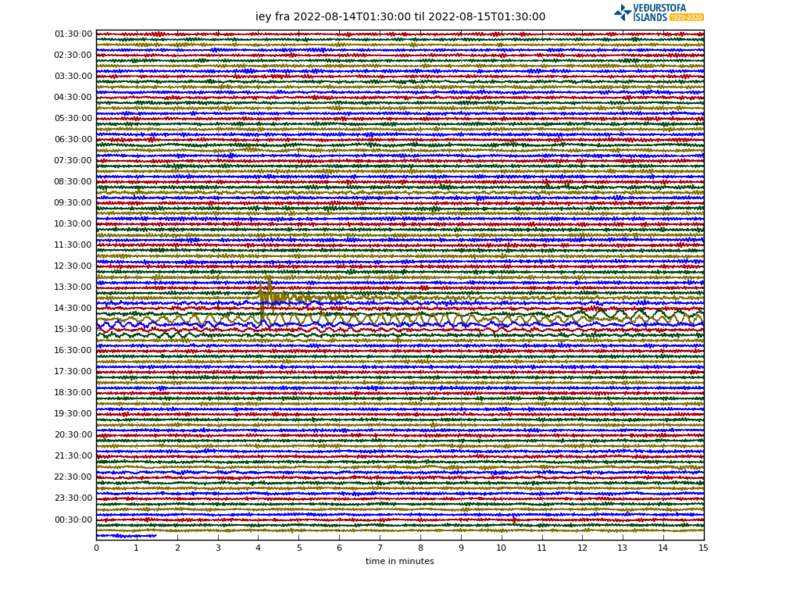 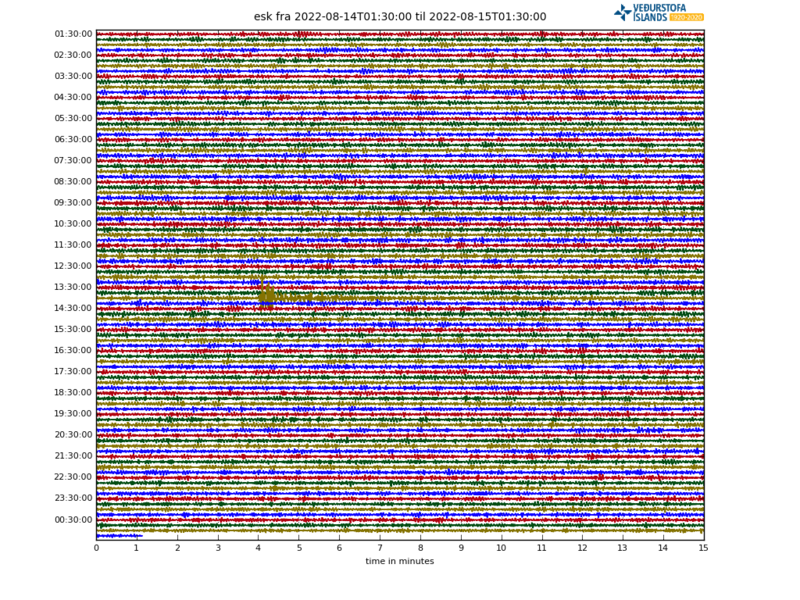 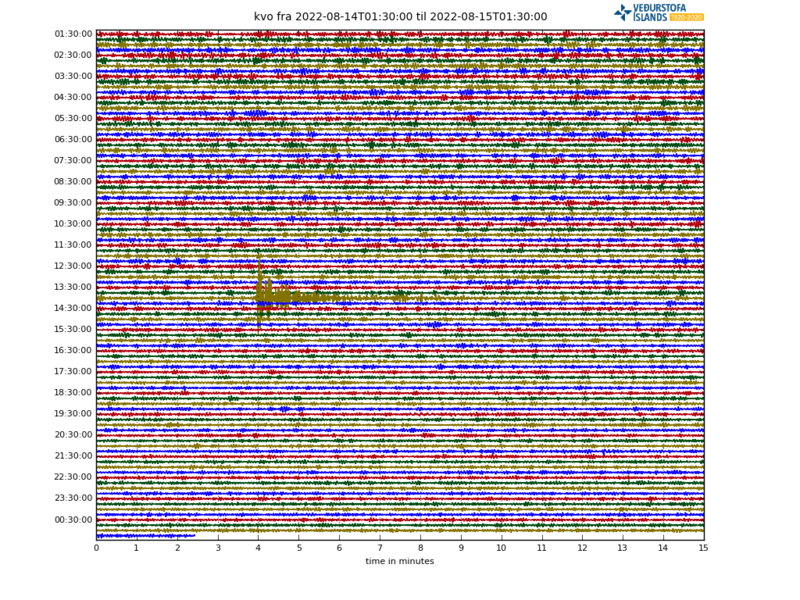 There is a lot of noise on many of those SIL stations, signals that might not be earthquakes. 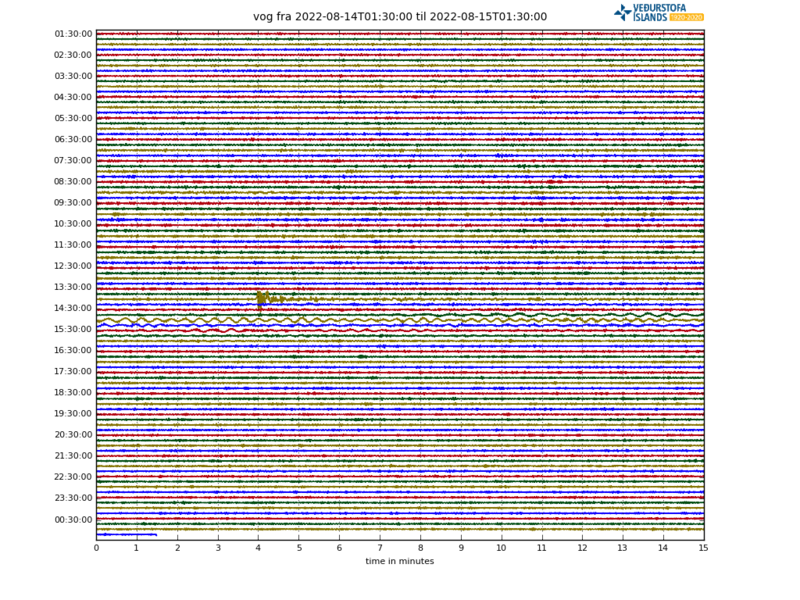 Icelandic Met Office website with this drumplots can be found here (Icelandic).